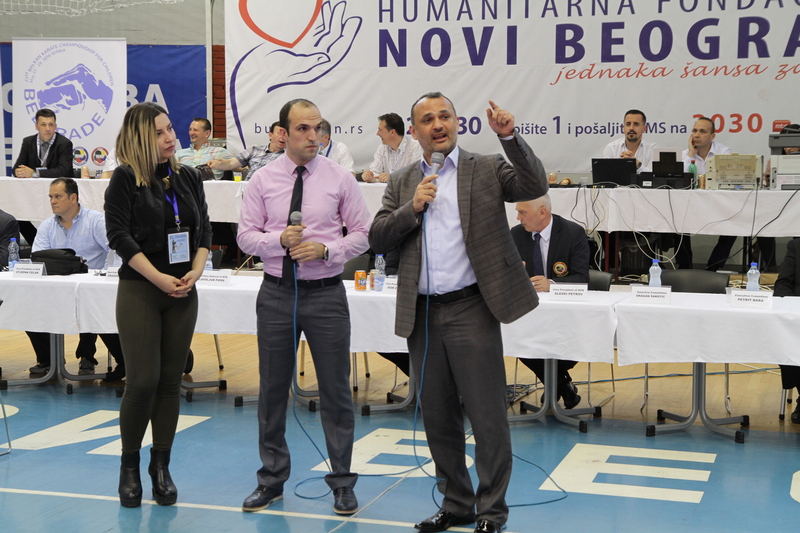 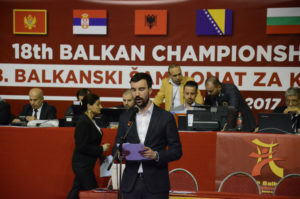 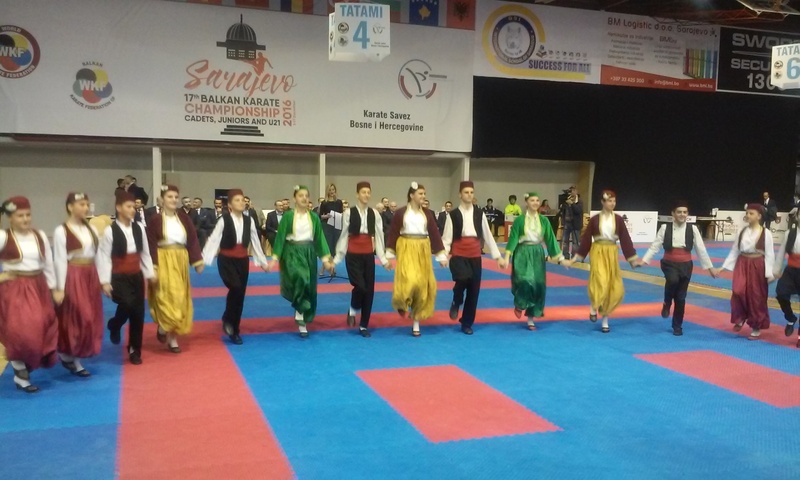 24th Balkan Children Championship will be held on 30 May to 02 June 2019 in Banja Luka, Bosnia and Herzegovina. 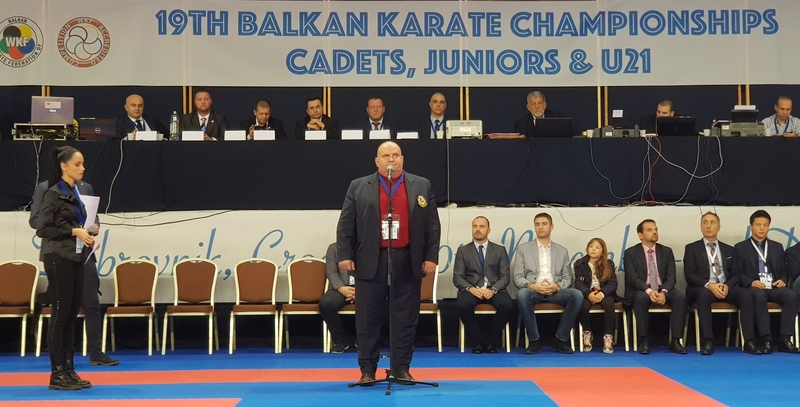 21st Balkan Senior Karate Championship will be held on 26/27 April 2019 in Cacak, Serbia. 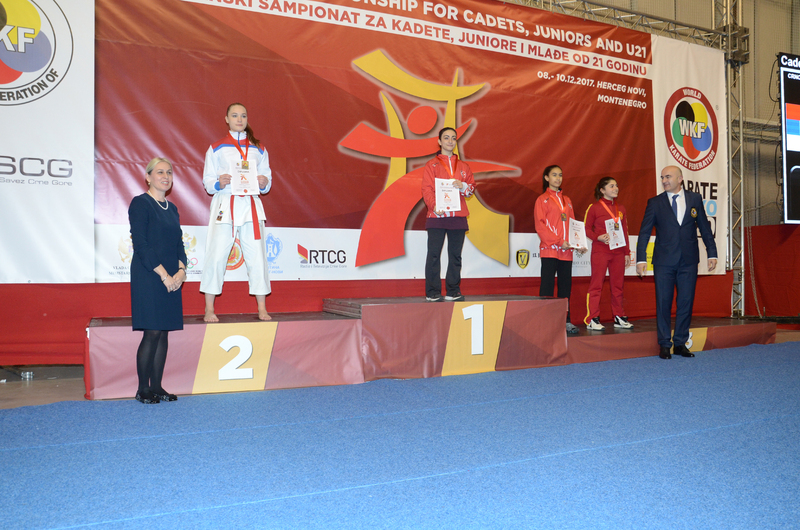 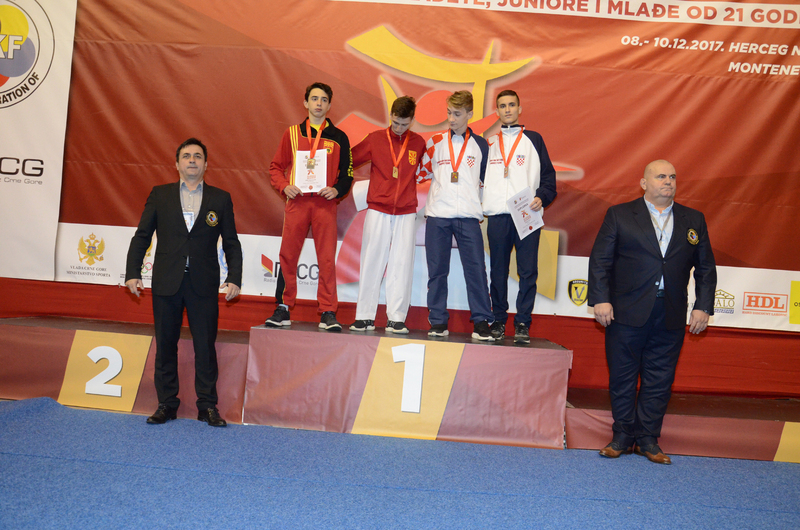 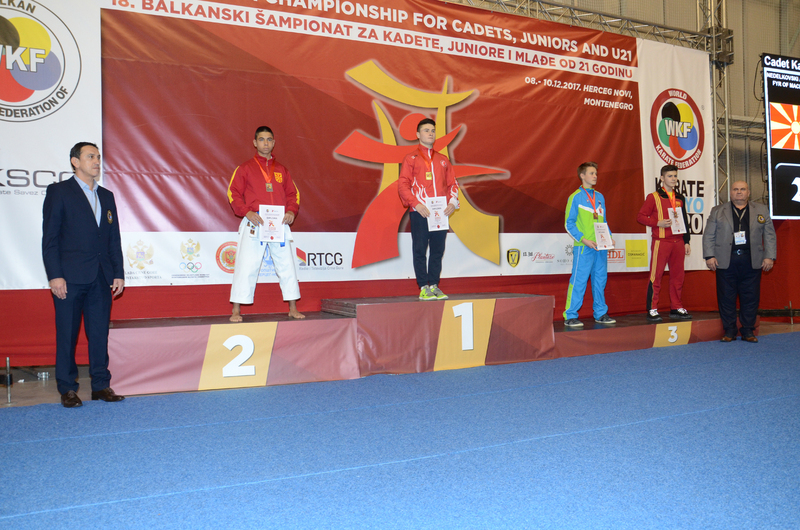 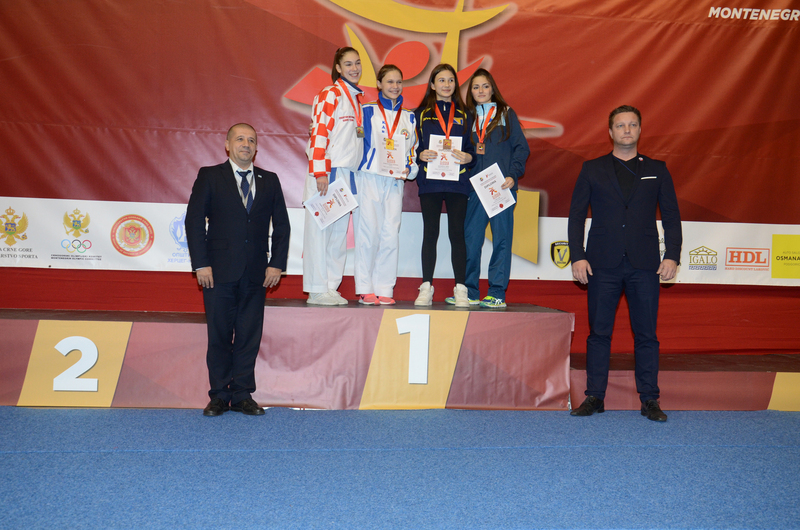 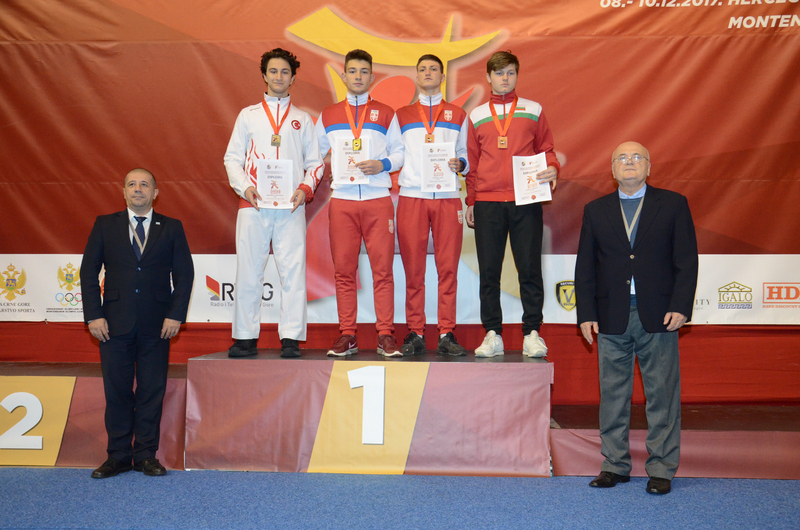 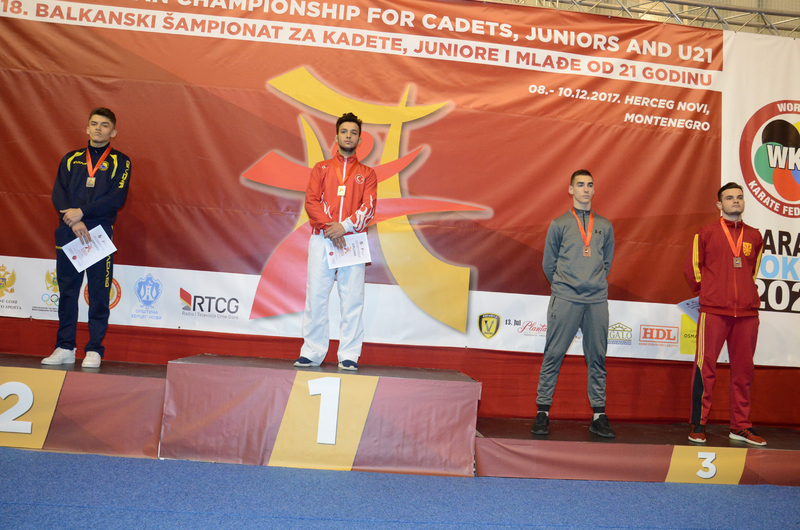 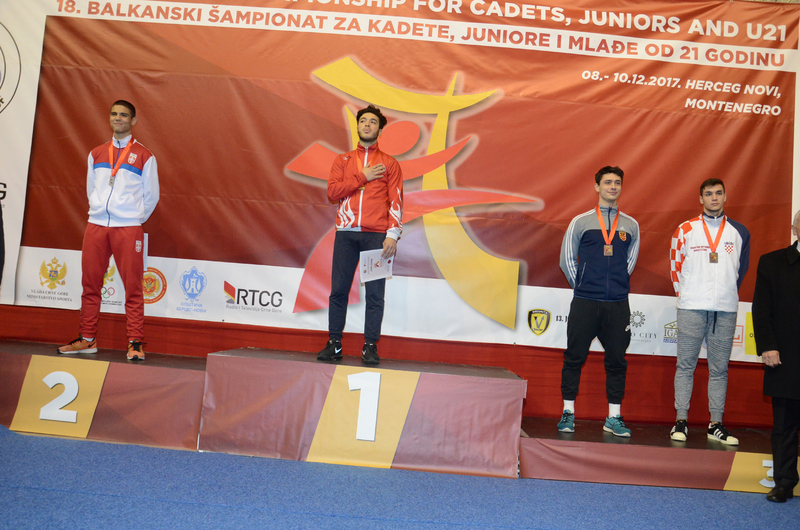 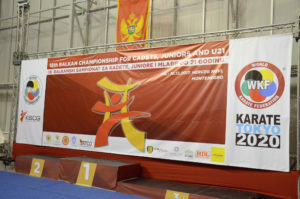 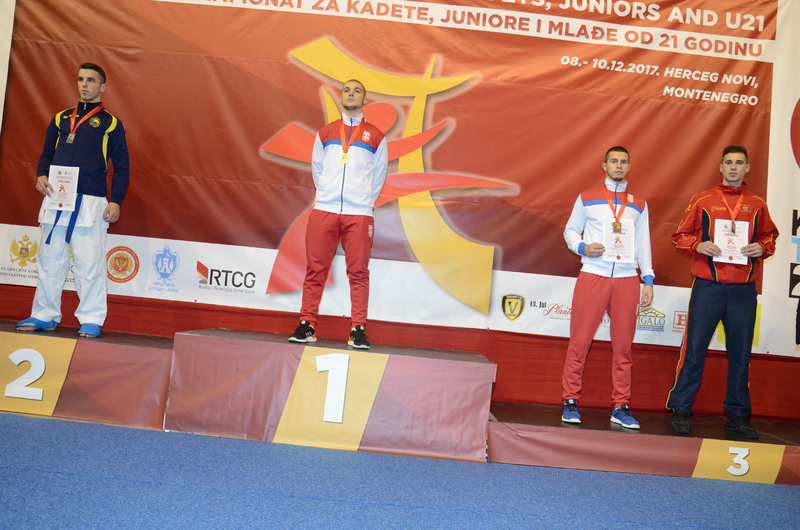 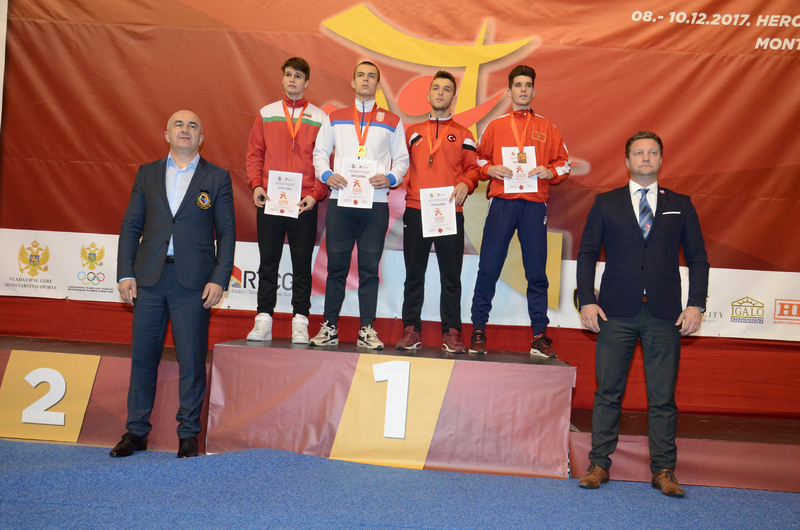 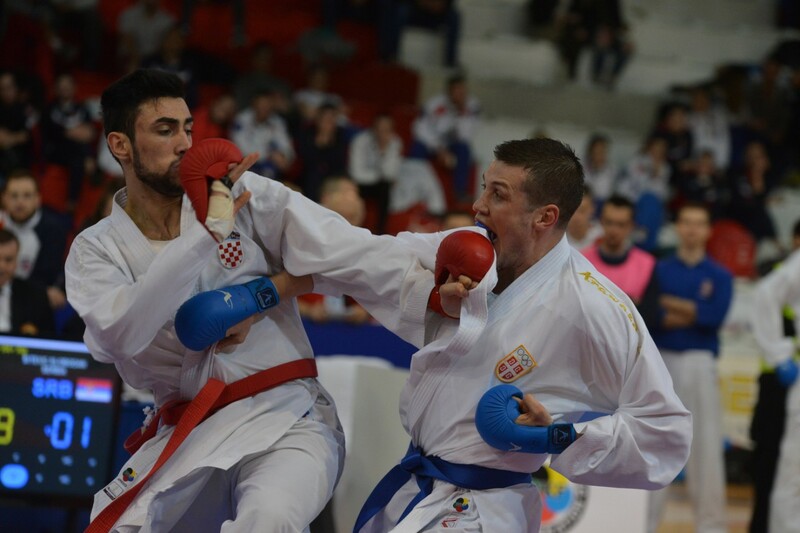 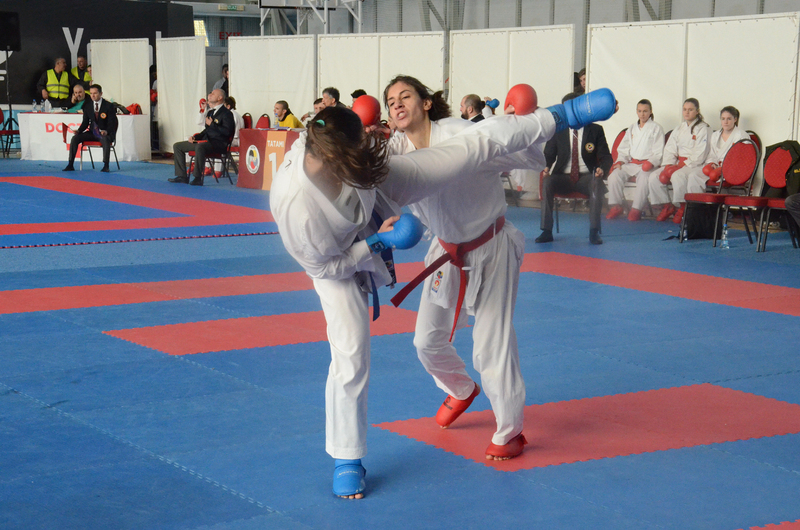 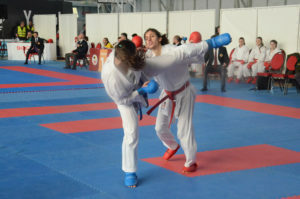 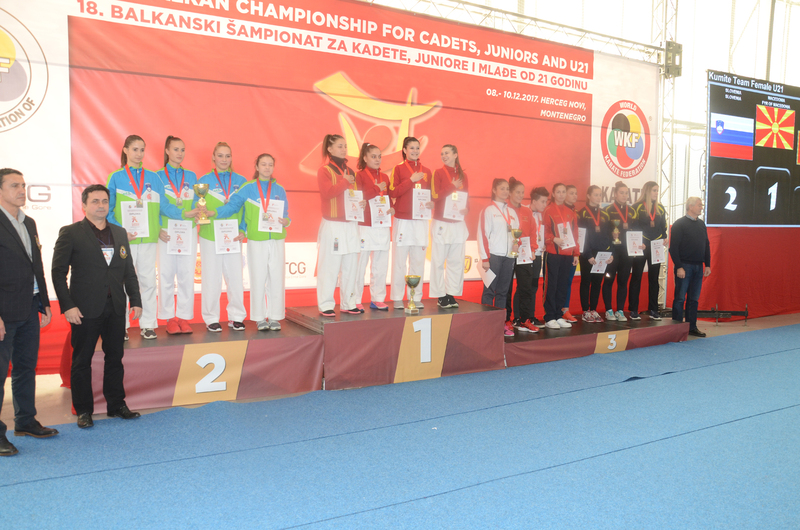 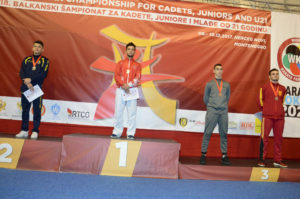 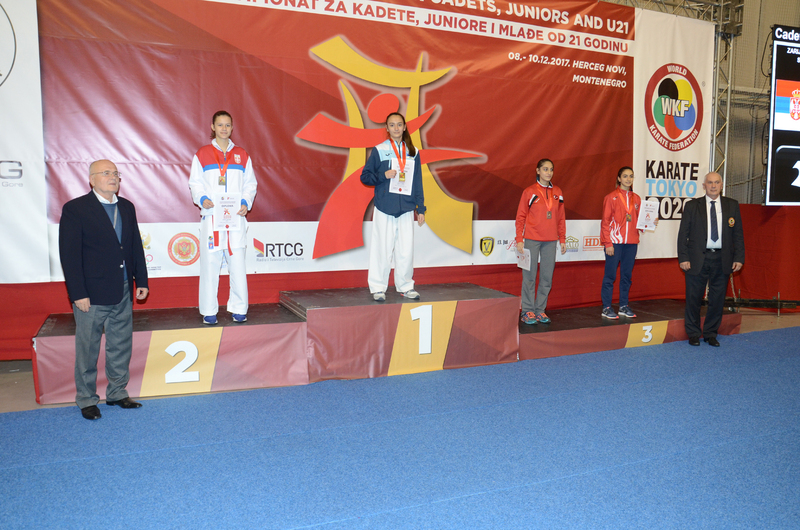 19th Balkan Championships for cadets, juniors and U21 was held on 30th November, 01st and 02nd of December 2018 in Dubrovnik, Croatia, brought together over 781 participants from 12 countries. In the overall standings the most successful was the representation of Serbia who won fourteen gold, five silver and seventeen bronze medals. 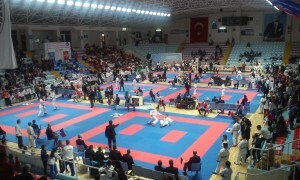 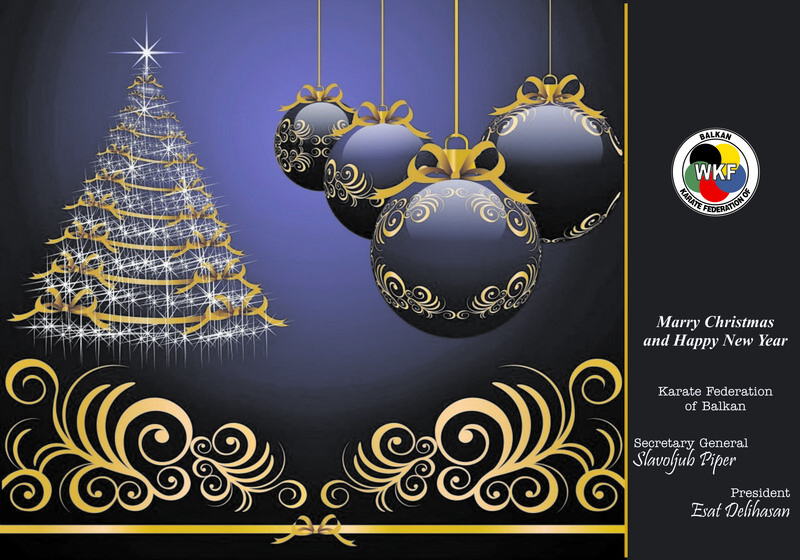 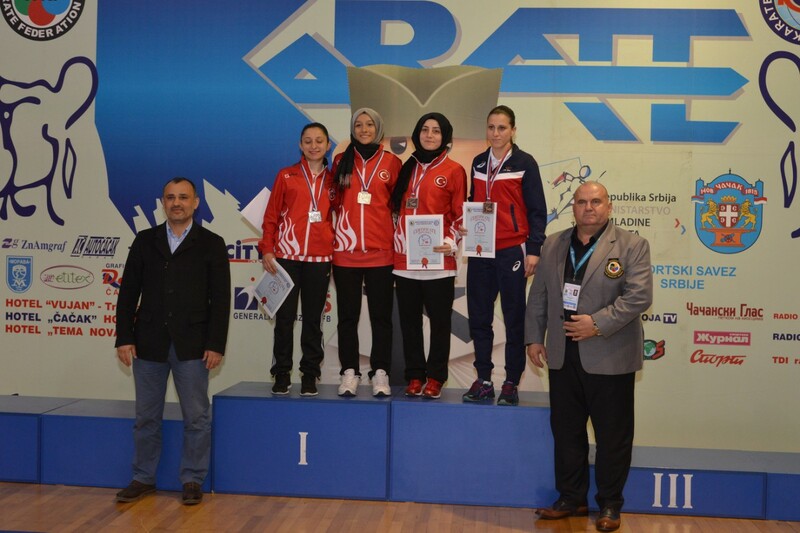 Second place went to the team of Turkey won ten gold, five silver and eleven bronze medals. 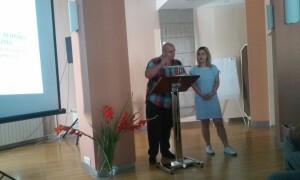 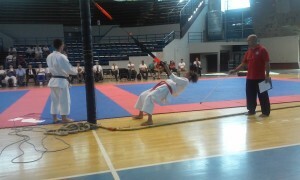 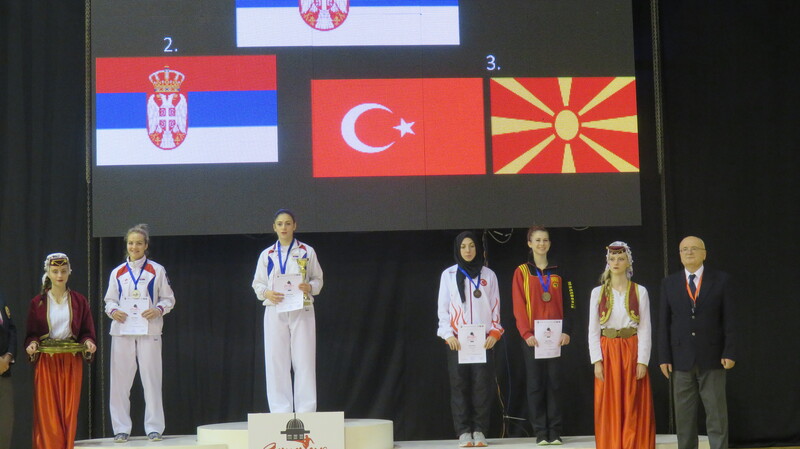 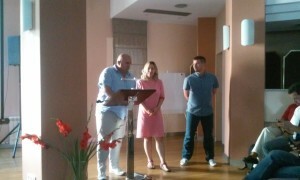 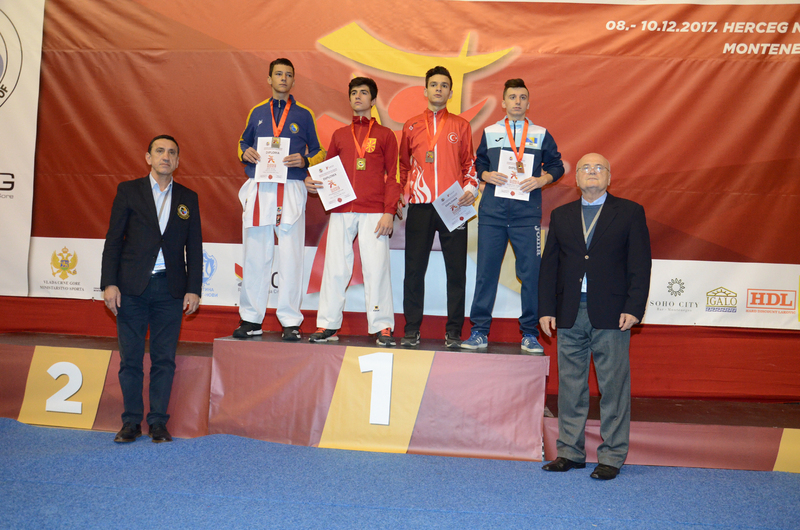 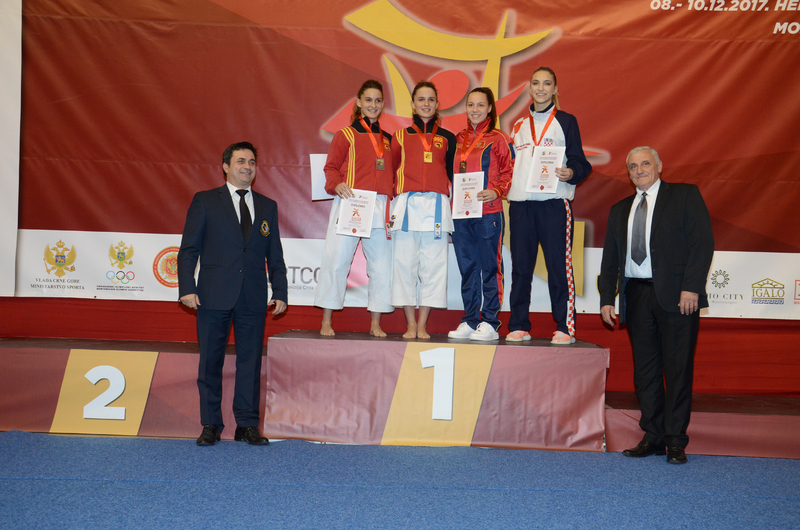 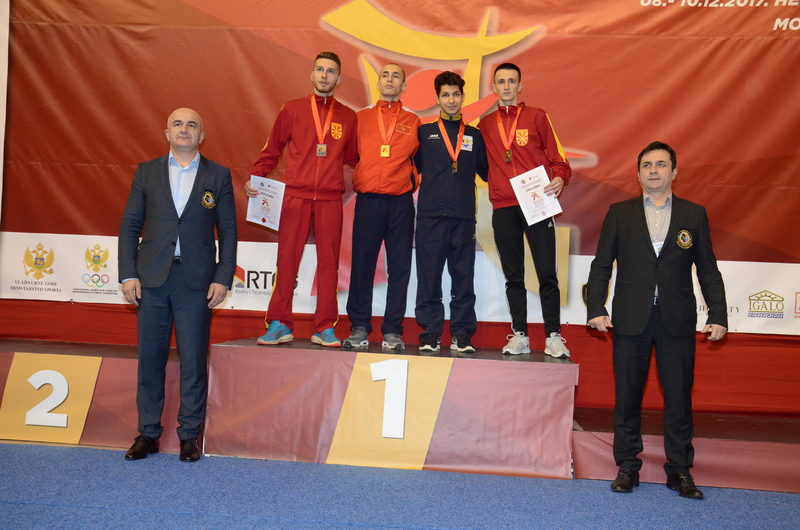 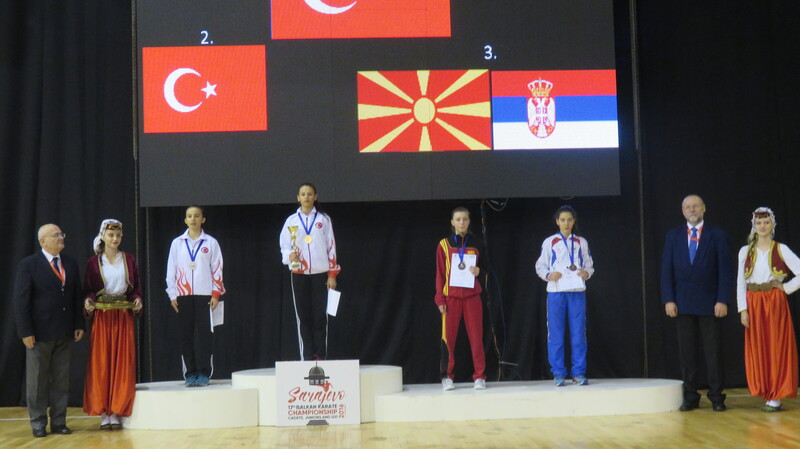 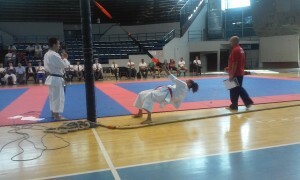 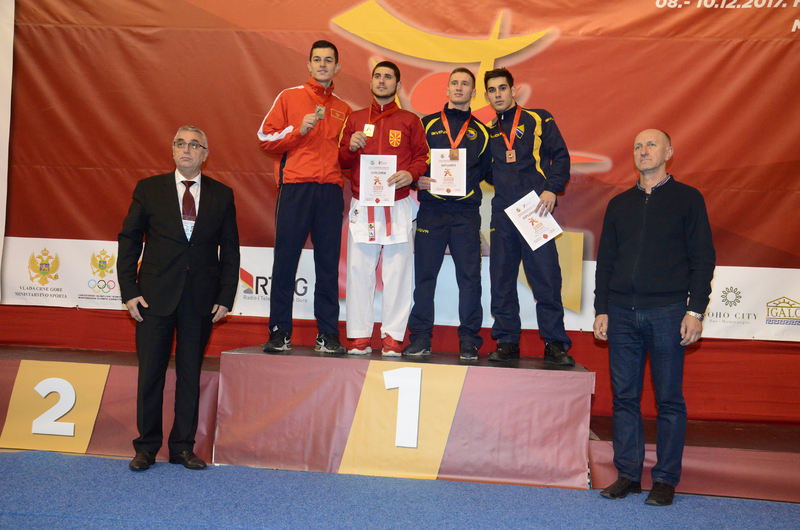 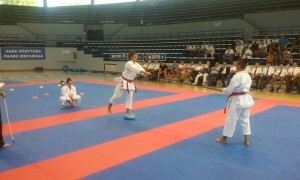 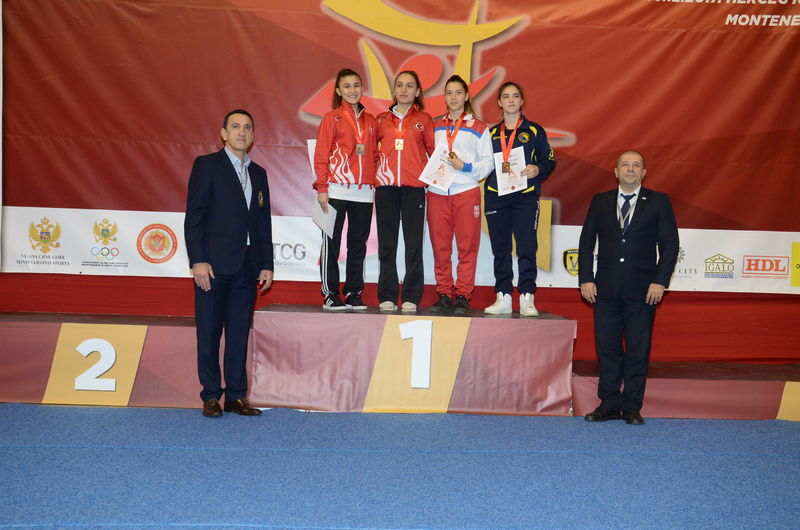 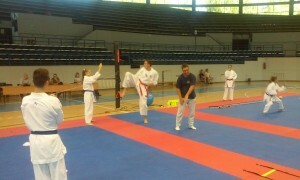 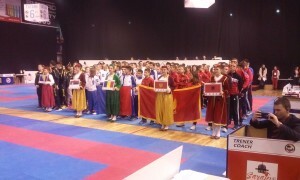 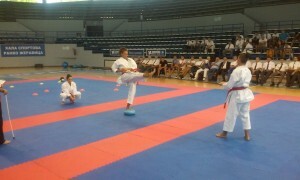 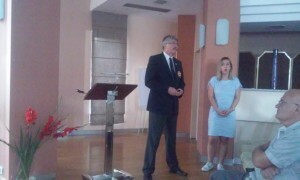 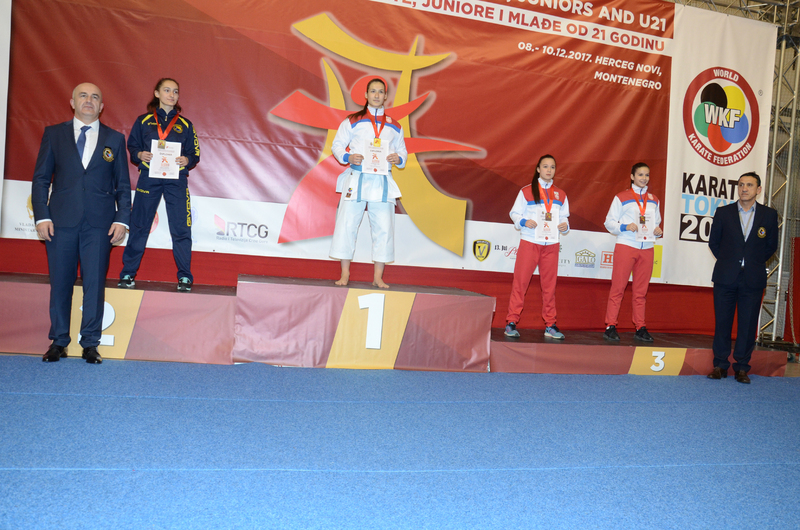 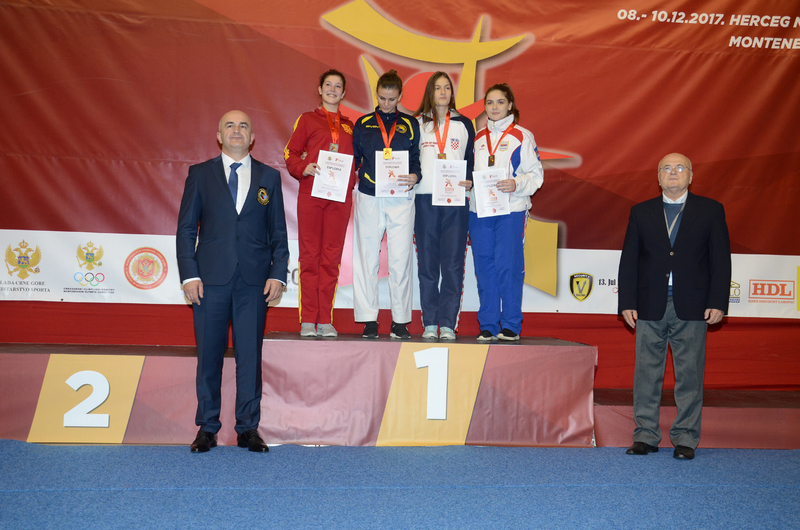 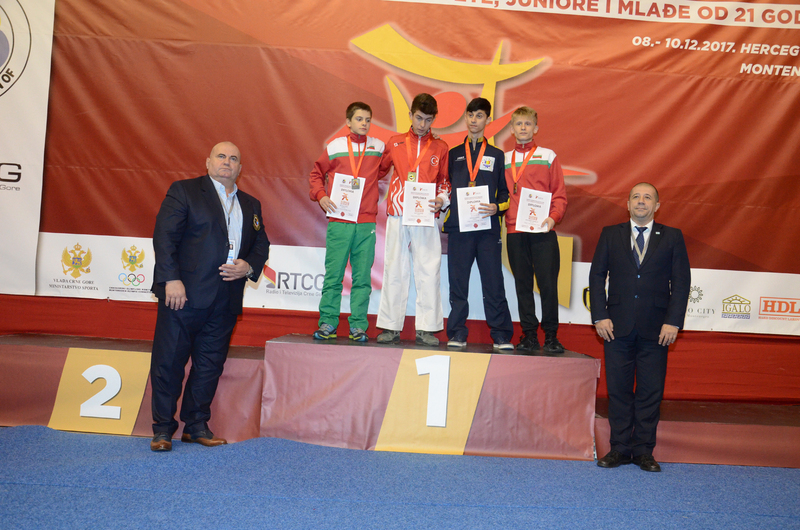 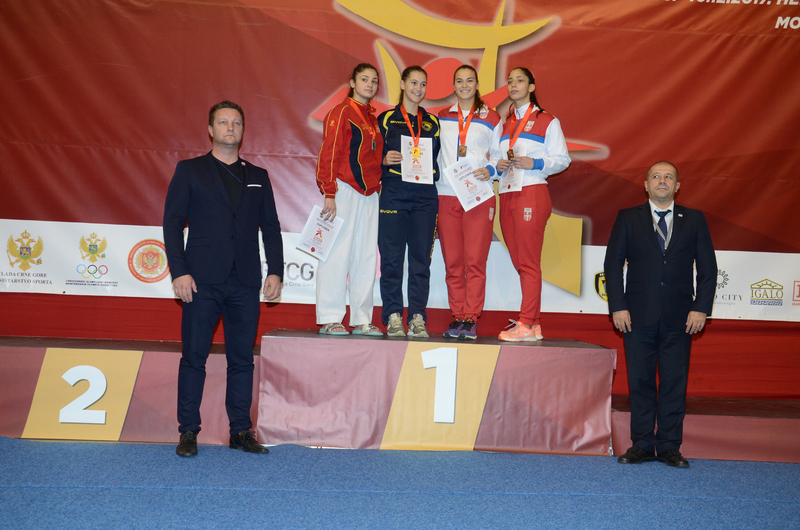 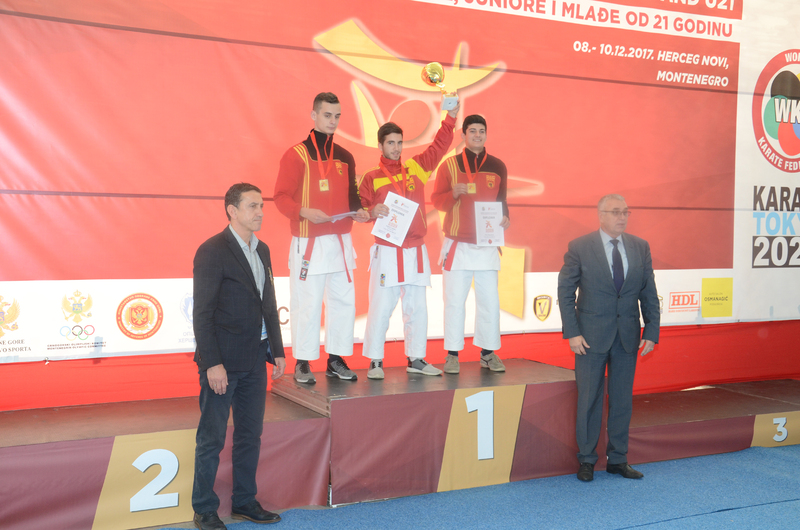 Third place went to the team of FYR of Macedonia with six gold, three silver and nine bronze medals. 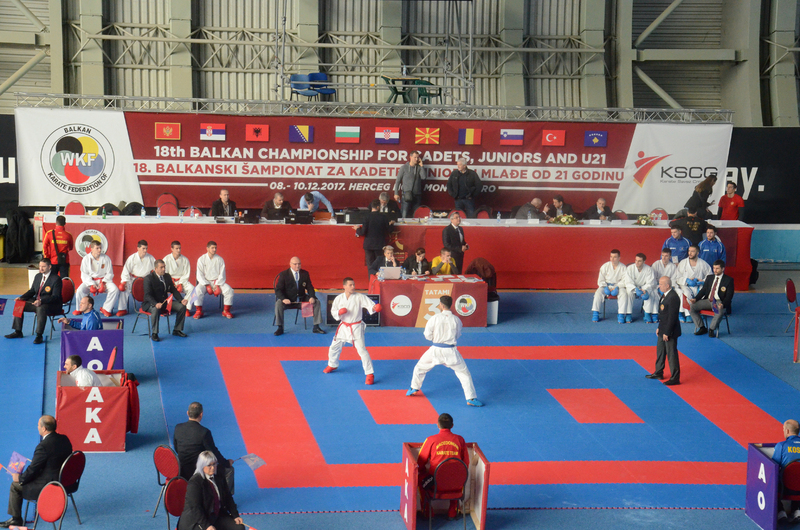 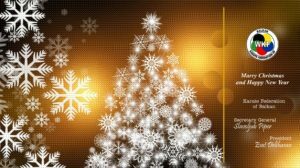 19th Balkan Cadets, Juniors and U21 Championship will be held on 30 November and 01/02 December 2018 in Dubrovnik, Croatia. 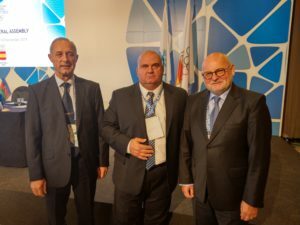 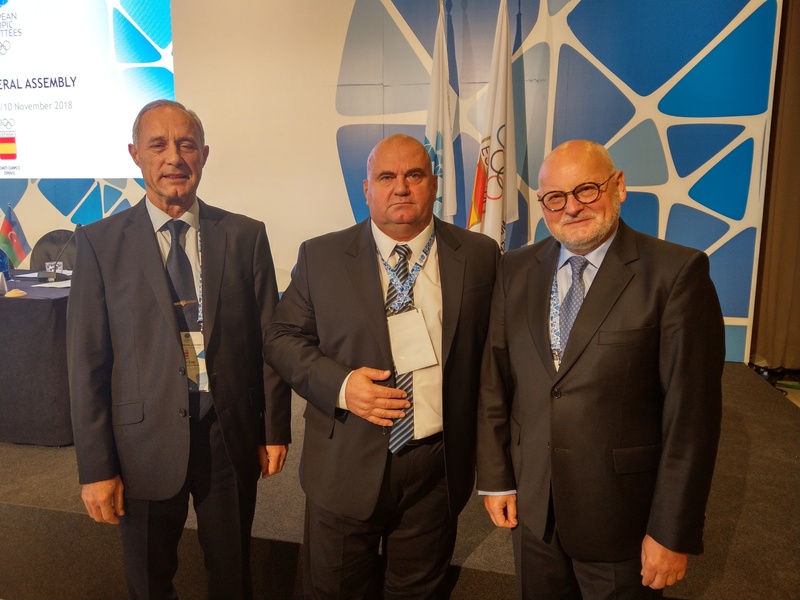 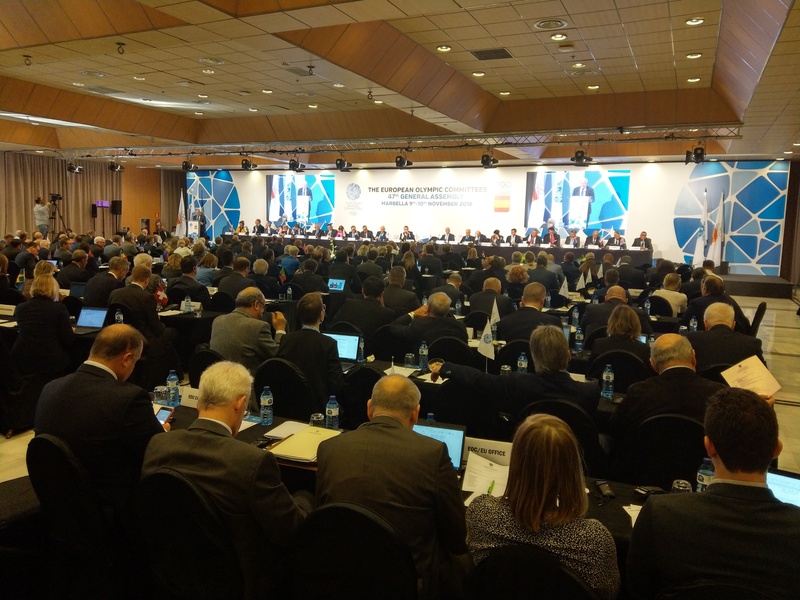 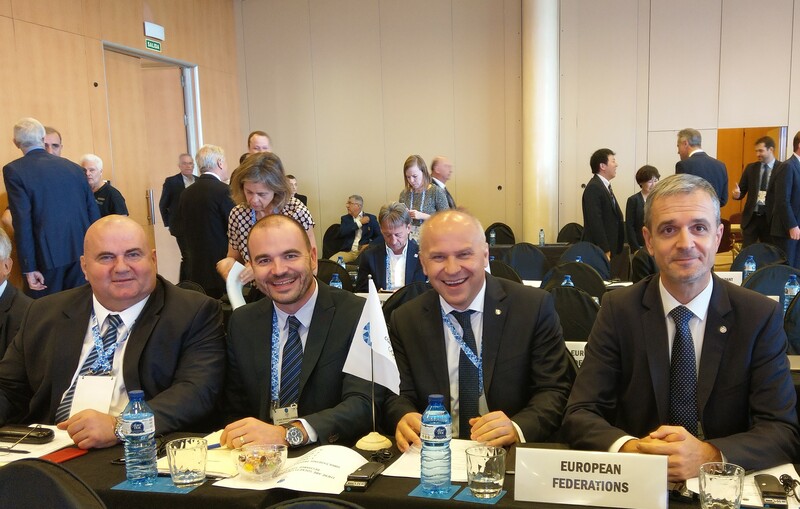 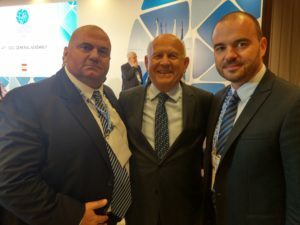 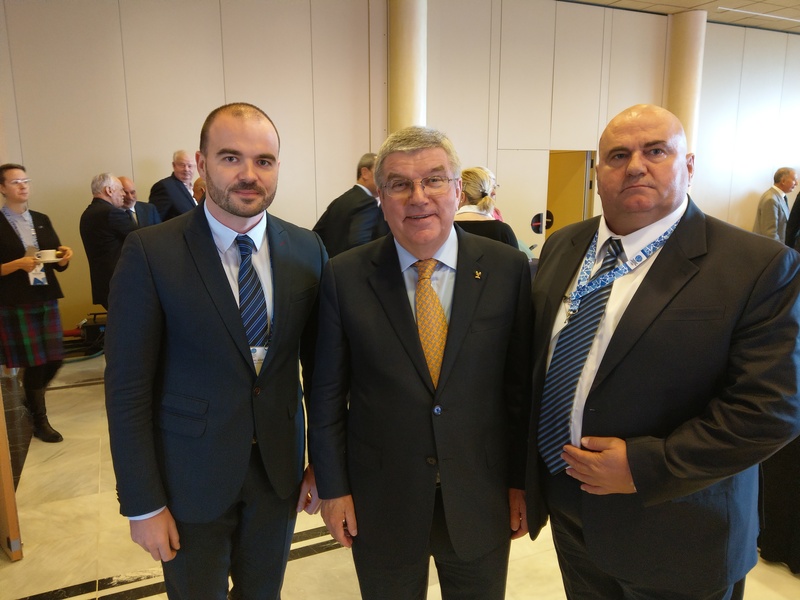 President of the Karate Federation of Serbia and the Secretary General of the Karate Federation of Balkans Mr. Slavoljub Piper as the representative of the European Karate Federation at the 47th General Assembly of the European Olympic Committees, 09-10. 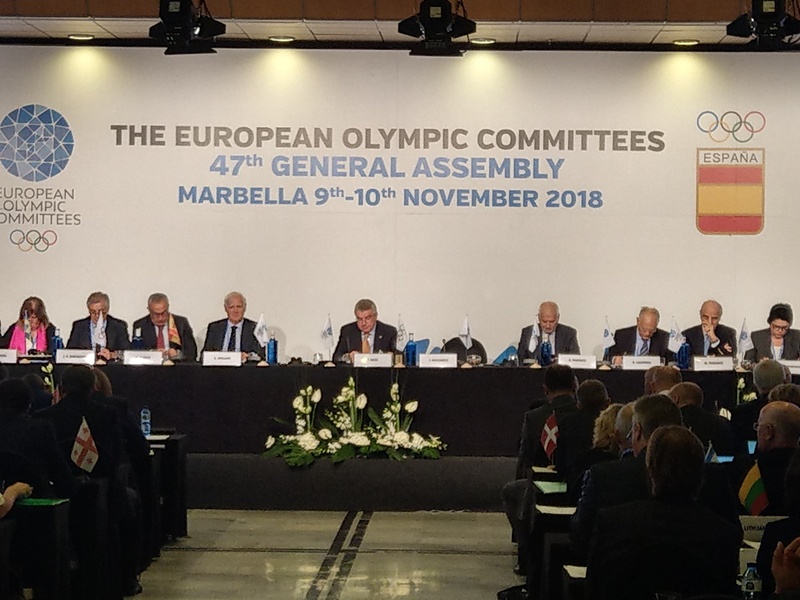 November 2018 in Marbella, Spain, Dr. Thomas Bach, President of the International Olympic Committee, Mr. Janez Kocijancic, President of the European Olympic Committees, Mr. Zlatko Mateja, President of the Croatian Olympic Committee, Mr. Adam Roczek, President of the EUSE and Mr. Matjaz Pechovnik, Secretary General of the EUSE. 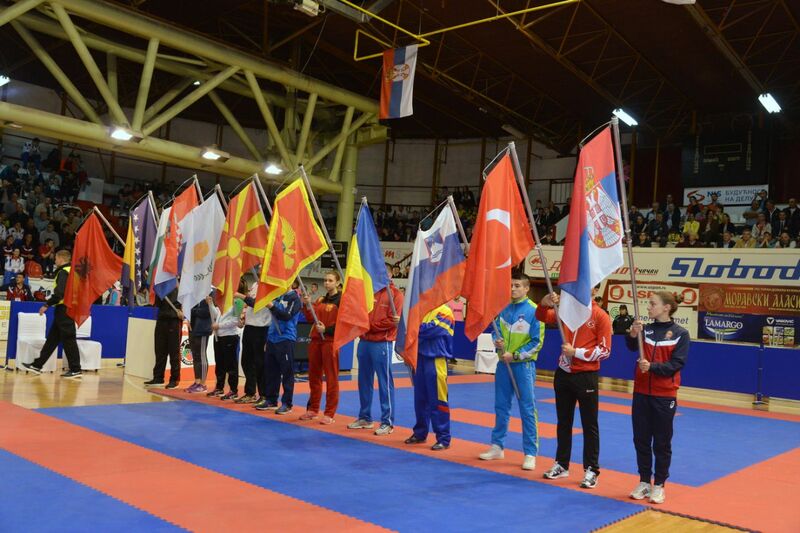 19th Balkan Cadets, Juniors and U21 Championships will be held on 30 November and 01/02 December 2018 in Dunrovnik, Croatia. 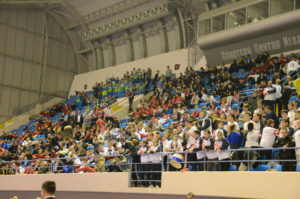 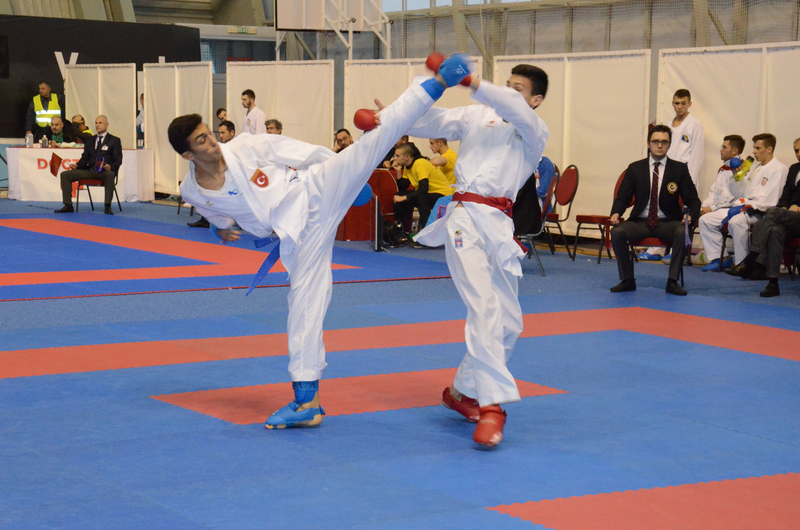 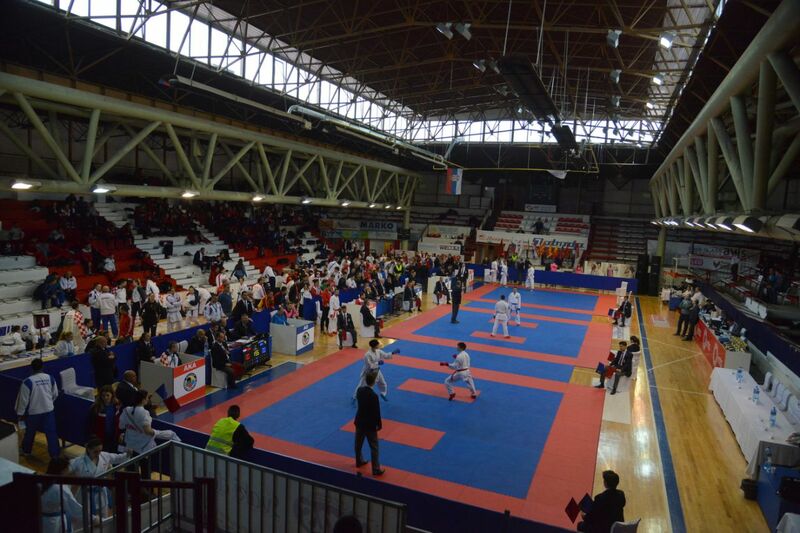 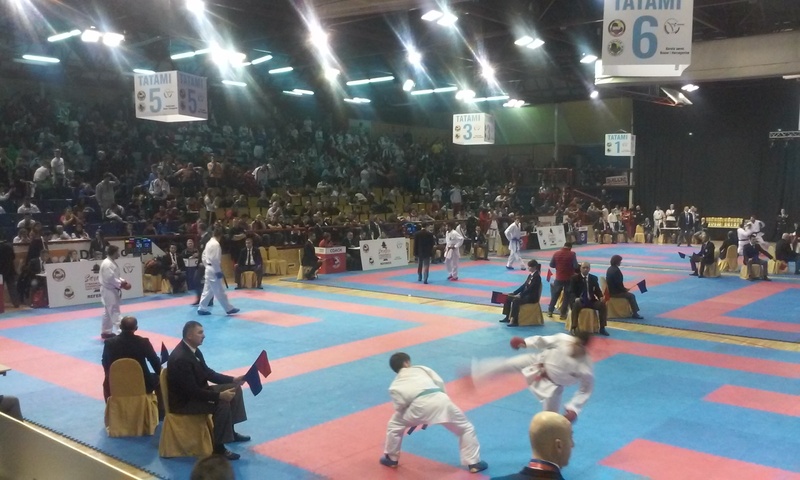 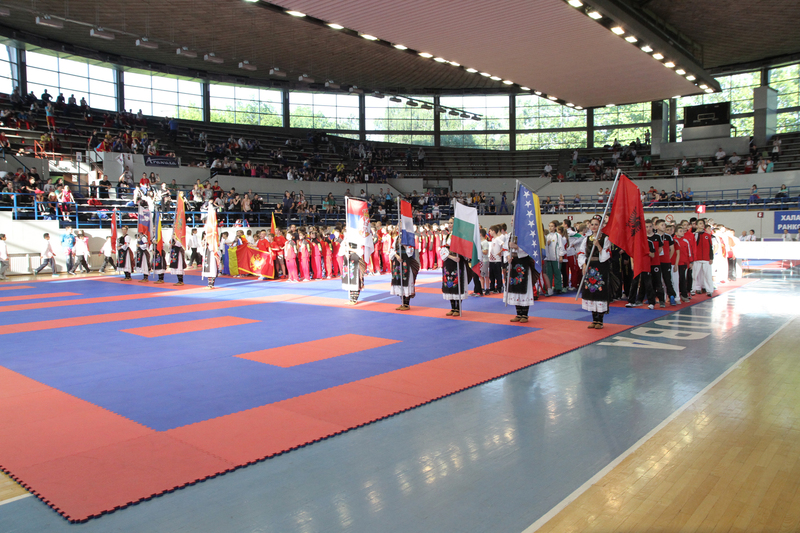 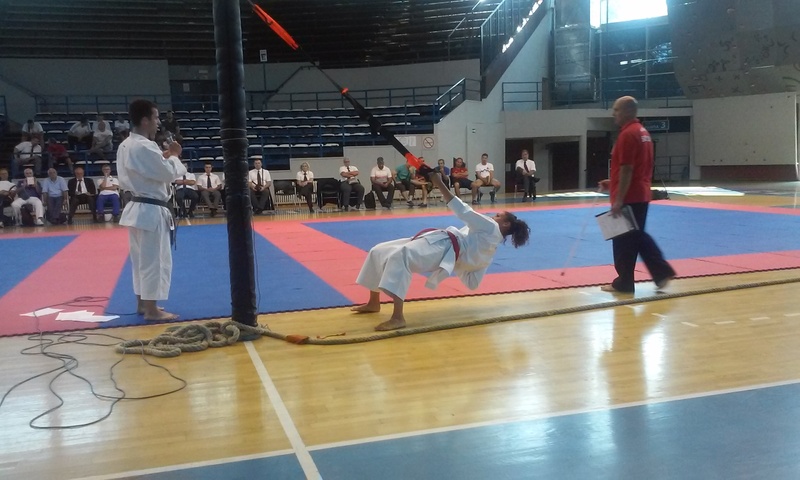 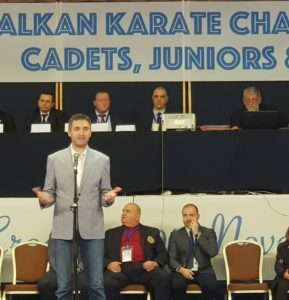 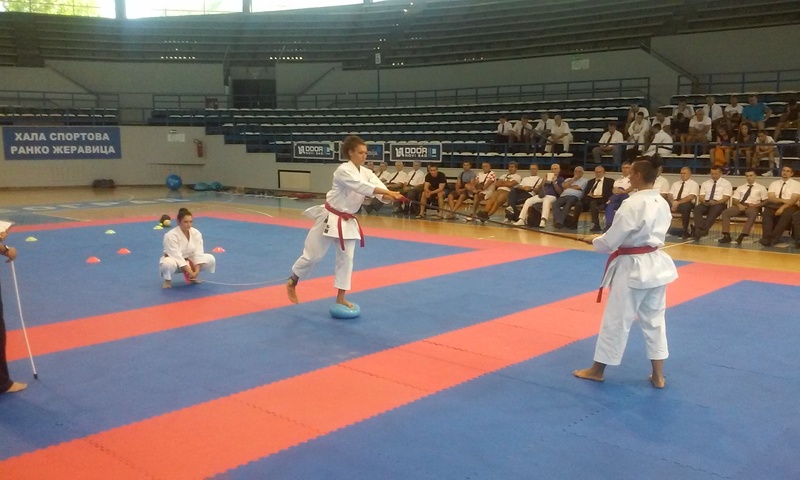 23rd Balkan Championships for children, which was held on 27th, 28th and 29th of April 2018 in Belgrade, Serbia, brought together over 860 participants from 10 countries. 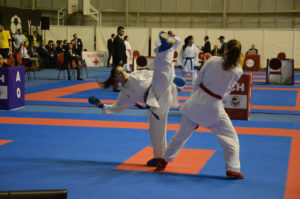 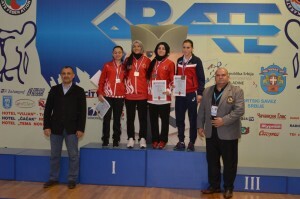 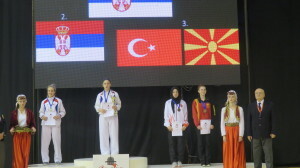 In the overall standings the most successful was the representation of Turkey who won eighteen gold, thirteen silver and twenty five bronze medals. 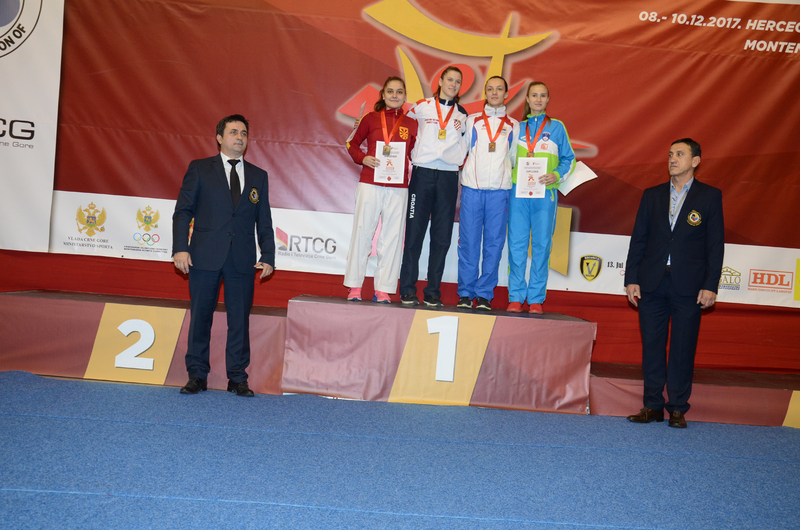 Second place went to the team of Serbia with ten gold, twelve silver and fifteen seven bronze medals. 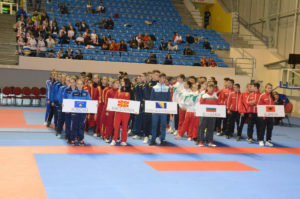 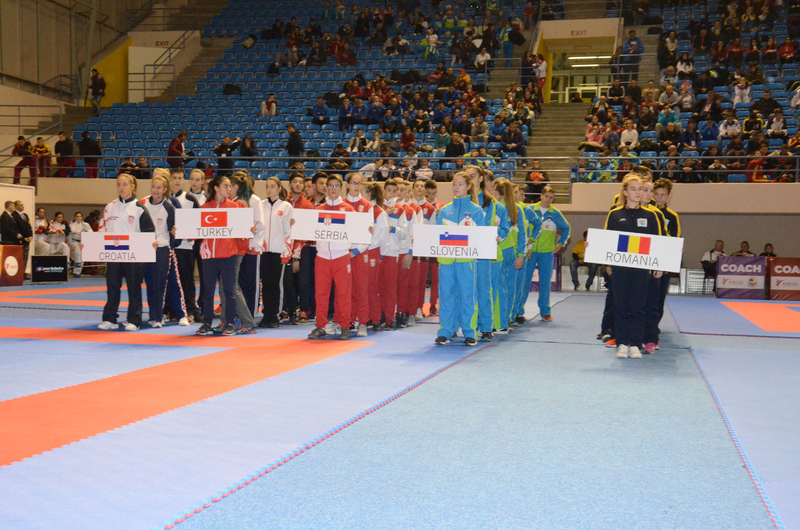 Third place went to the team of Bosnia and Herzegovina with teen gold, eleven silver and thirty two bronze medals. 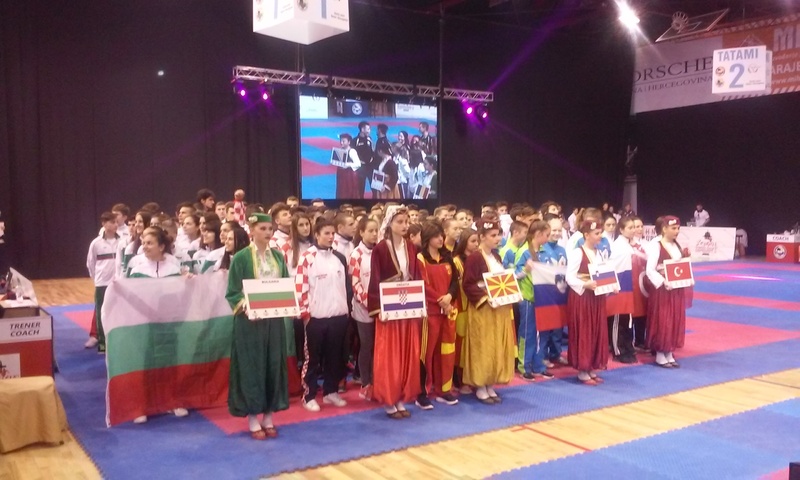 23rd Balkan Children Championship will be held on 27/28/29 April 2018 in Belgrade, Serbia. 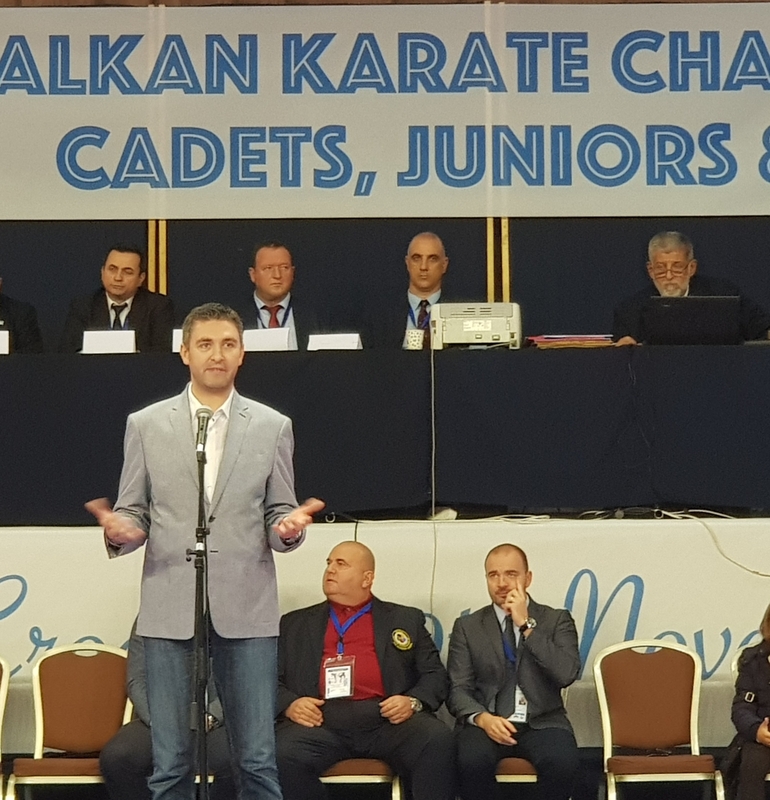 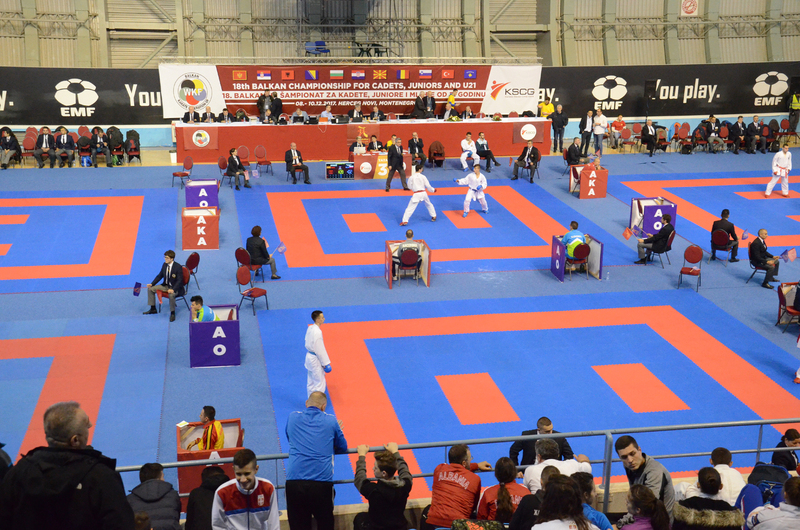 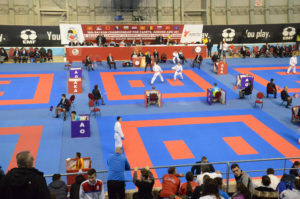 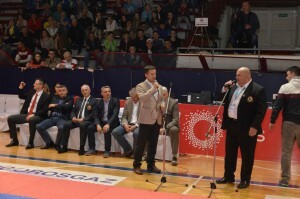 20th Balkan Seniors Championships, which was held on 24th and 25th of March 2018 in Istanbul, Turkey, brought together over 339 participants from 11 countries. 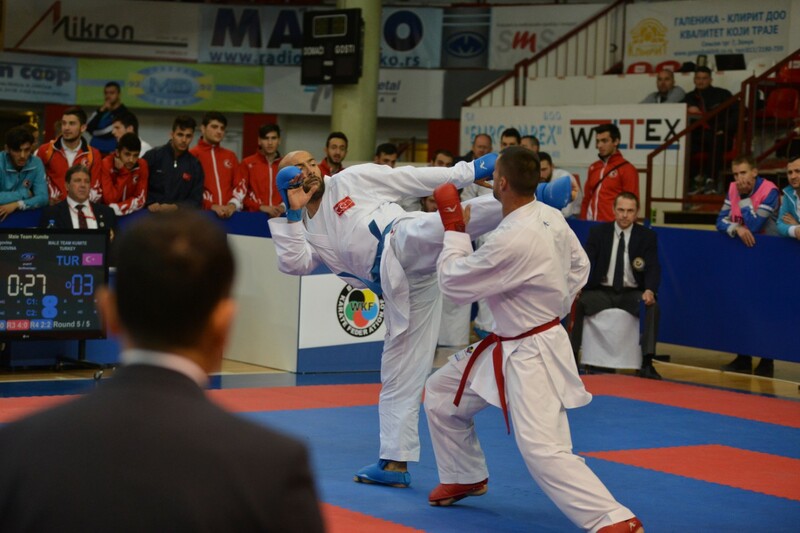 20th Balkan Senior Karate Championship will be held on 254/25 March 2018 in Istanbul, Turkey. 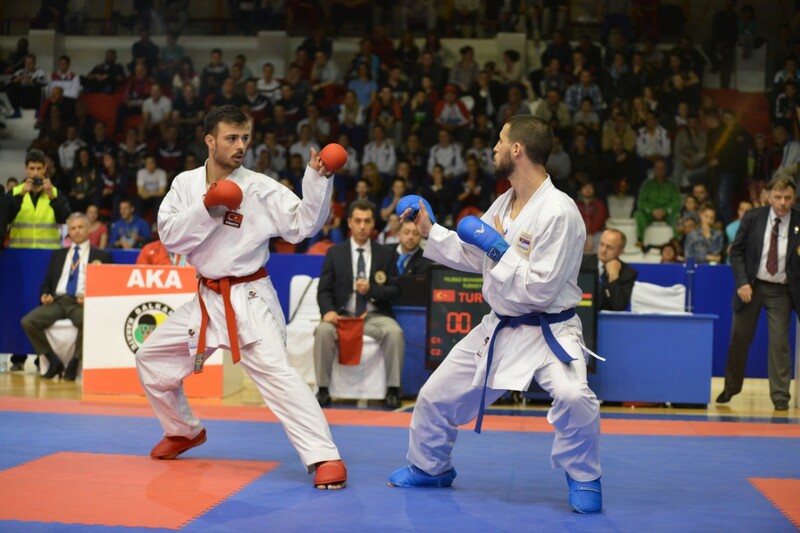 20th Balkan Senior Karate Championships will be held on 24/25 March 2018 in Istanbul, Turky. 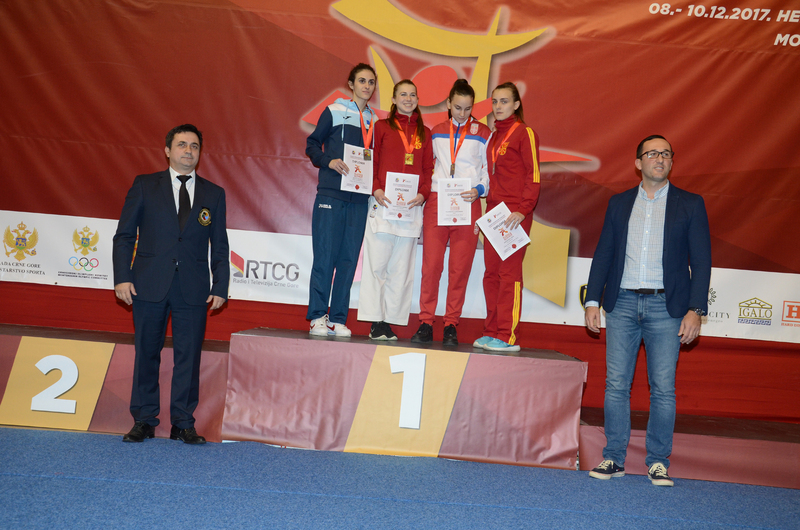 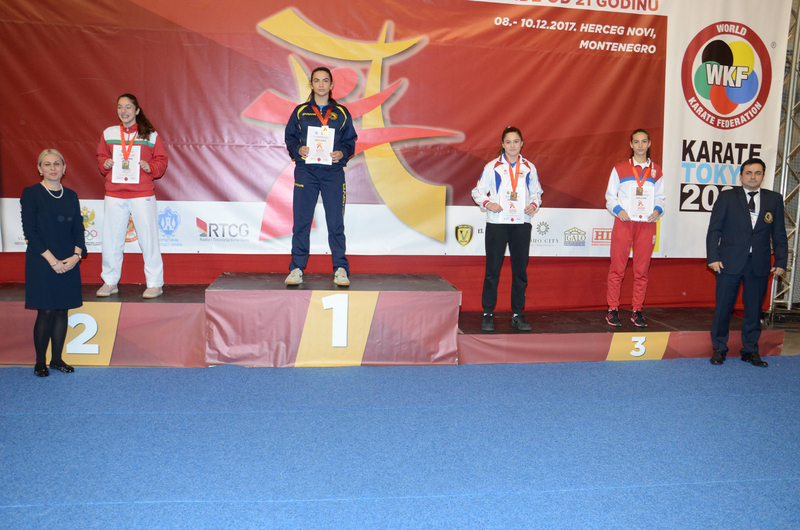 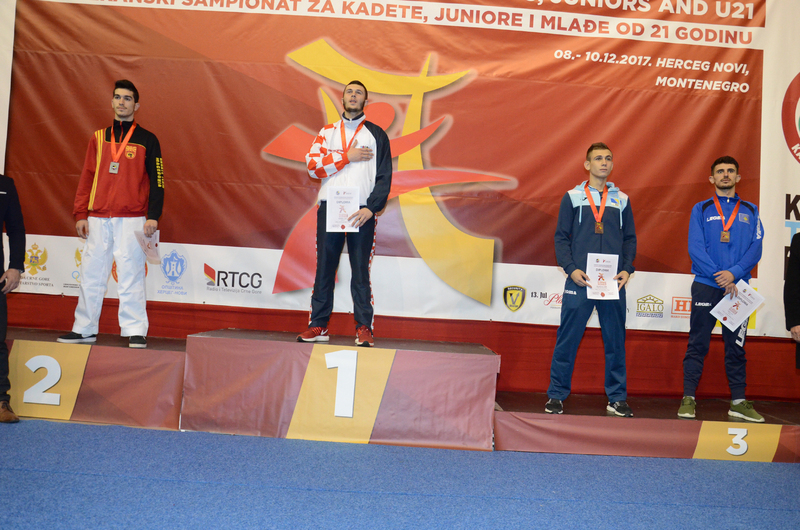 18th Balkan Championships for cadets, juniors and U21 was held on 8th, 9th and 10th of December 2017 in Herceg Novi, Montenegro, brought together over 741 participants from 11 countries. 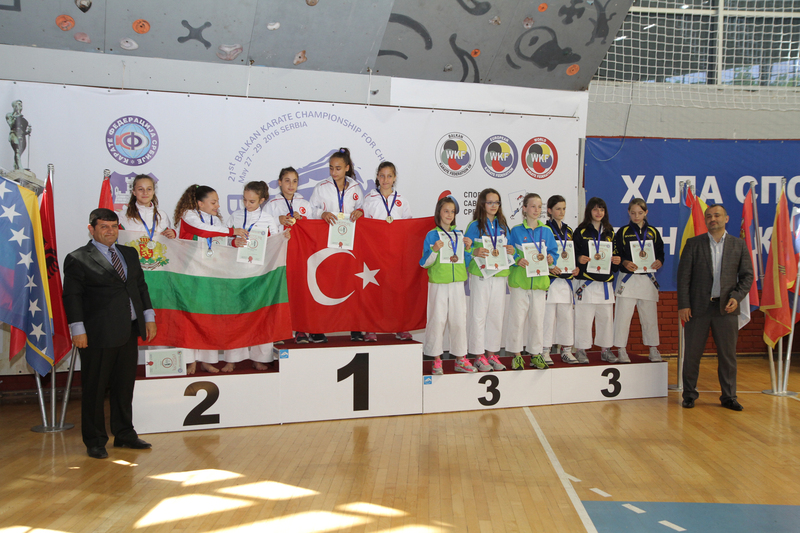 In the overall standings the most successful was the representation of Turkey who won ten gold, two silver and eight bronze medals. 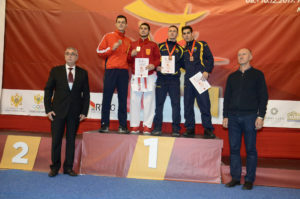 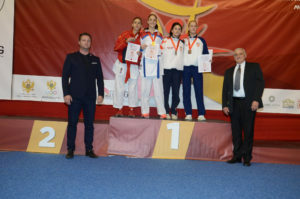 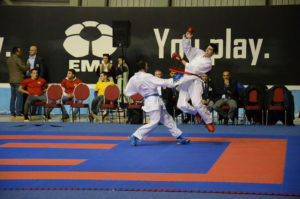 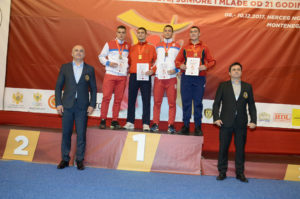 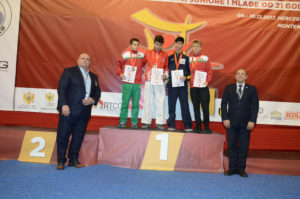 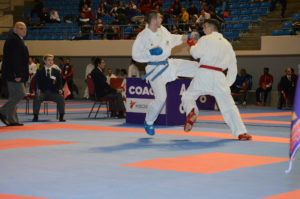 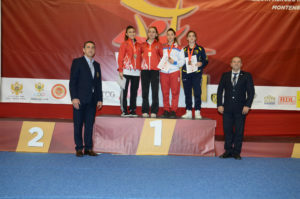 Second place went to the team of FYR of Macedonia won nine gold, nine silver and twelve bronze medals. 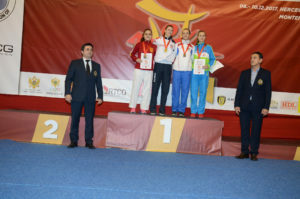 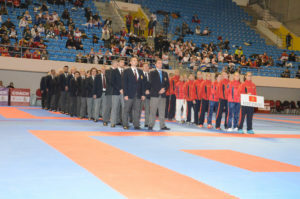 Third place went to the team of Serbia with nine gold, seven silver and nineteen bronze medals. 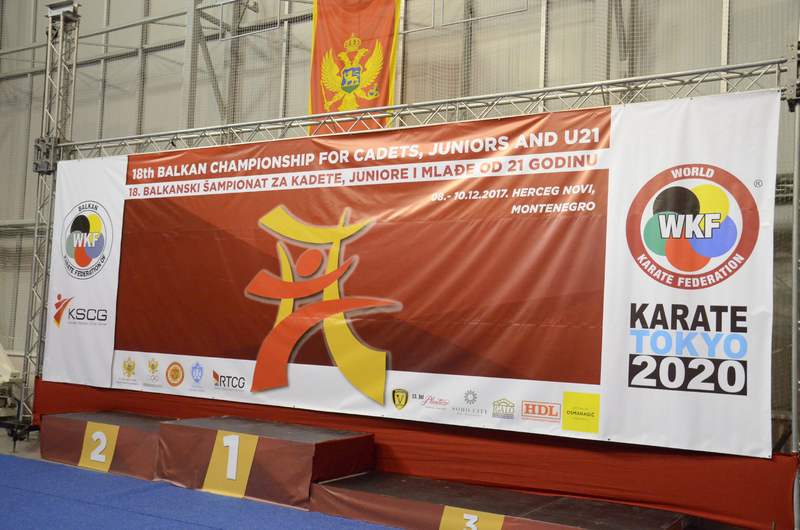 18th Balkan Cadets, Juniors and U21 Championship will be held on 08/10 December 2017 in Herceg Novi, Montenegro. 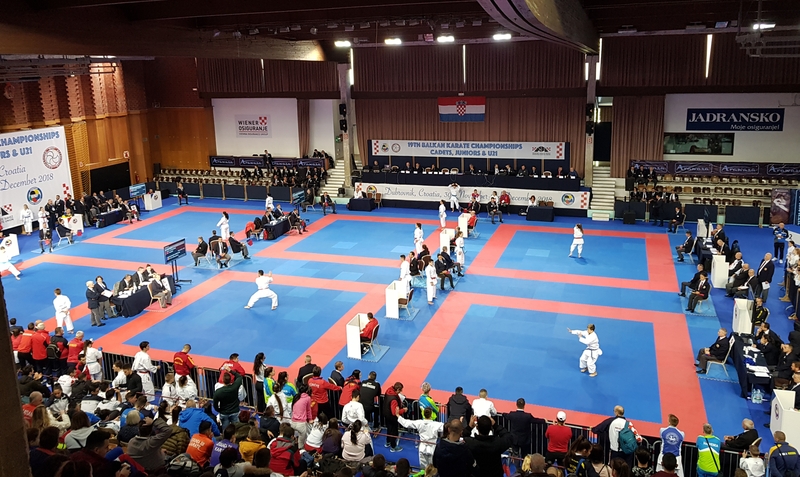 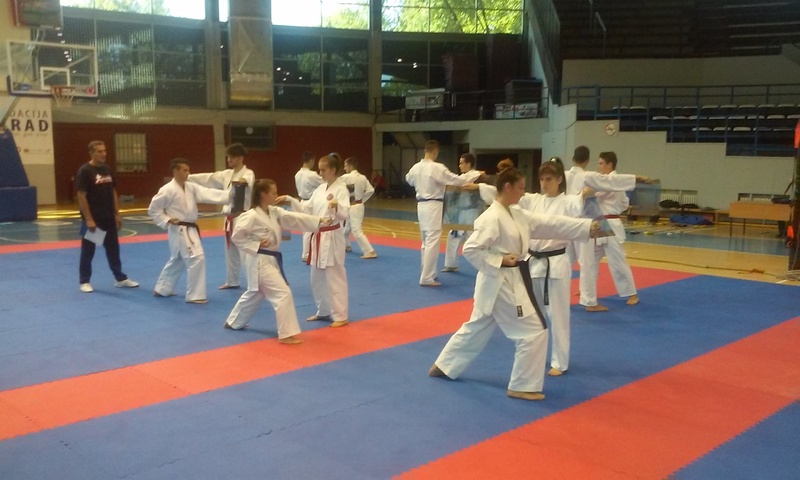 1st Open Balkan School Karate Games, which was held on 10th, 11th and 12st of November 2017 in Novi Sad, Serbia, brought together pupils and students from Bosnia and Hercegovina, Bulgaria, Croatia, FYR of Macedonija, Hungary, Montenegro, Romania, Slovenia and Serbia. In the overall standings the most successful was the representation of Serbia who won twenty gold, fourteen silver and twenty one bronze medals. 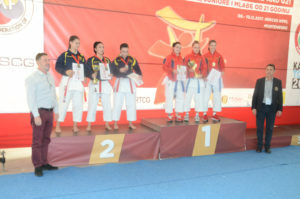 Second place went to the team of Bosnia and Herzegovina won eight gold, twelve silver and seven bronze medals. 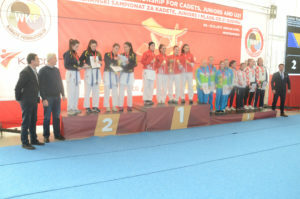 Third place went to the team of Croatia with four gold, six silver and four bronze medals. 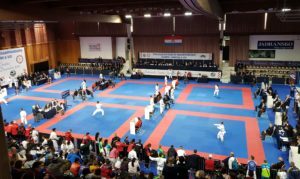 1st Open Balkan School Karate Games will be held on 10/12 November 2017 in Novi Sad, Serbia. We invite you to participate at the 1st Balkan Open School Karate Games in the competition of primary and secondary schools. 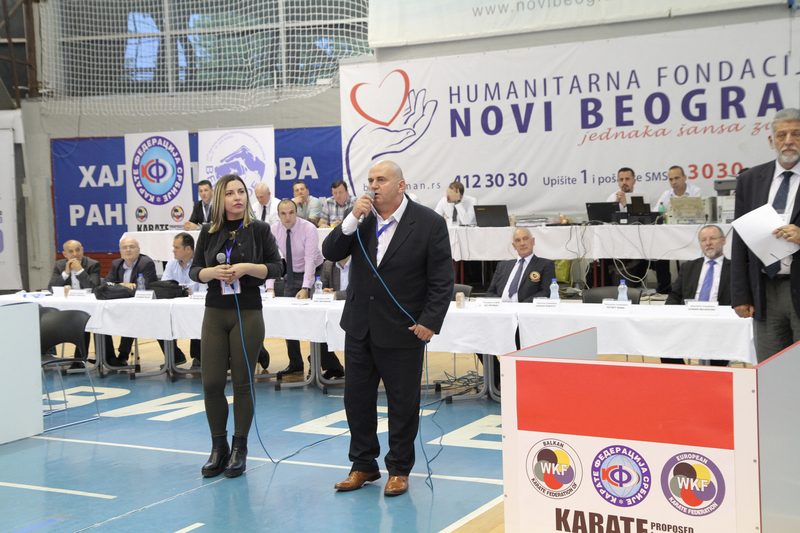 The competition will be held from 9th to 12th November 2017 in Novi Sad, Serbia. 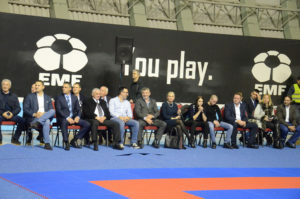 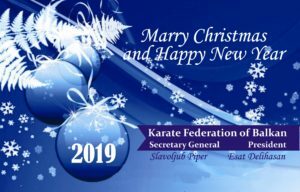 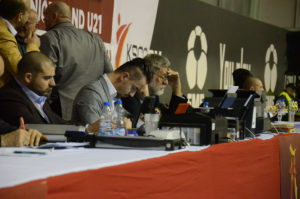 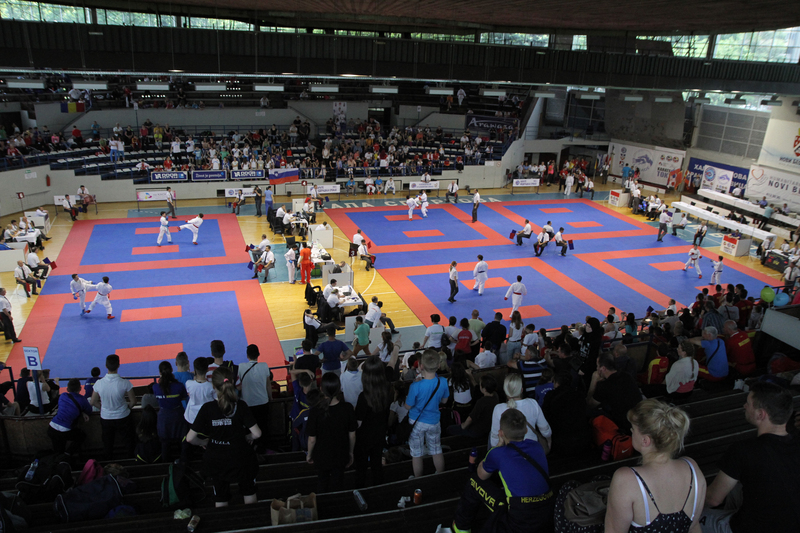 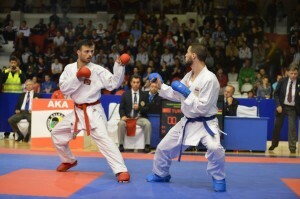 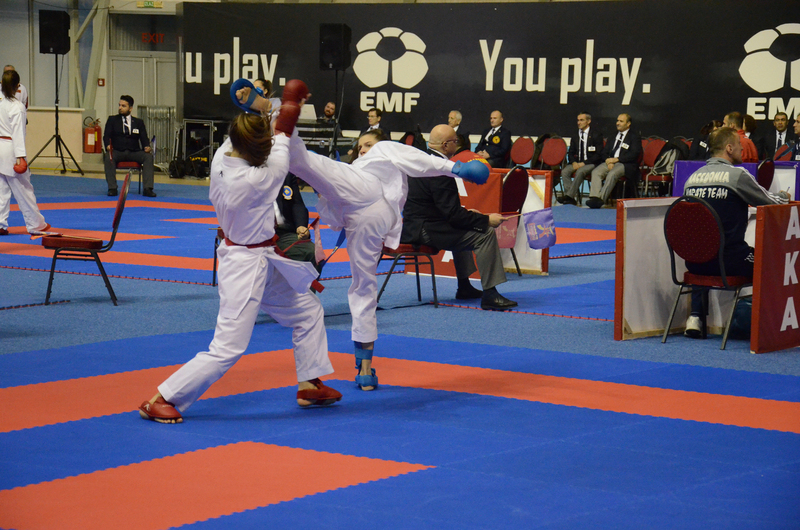 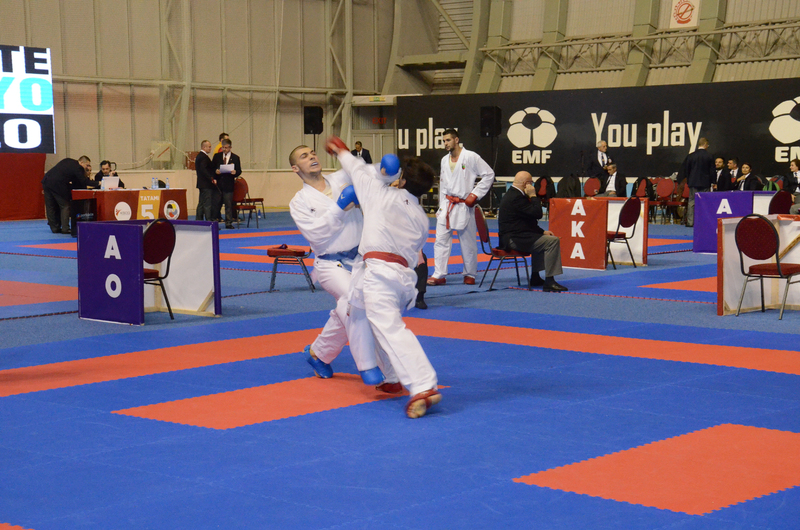 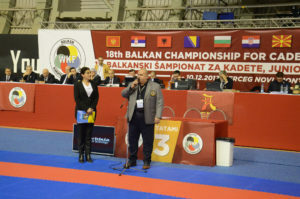 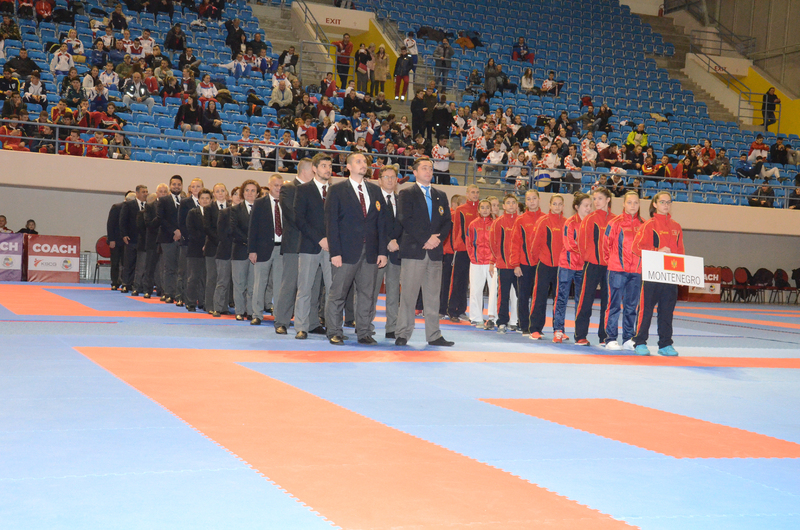 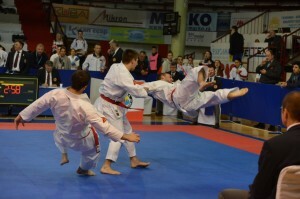 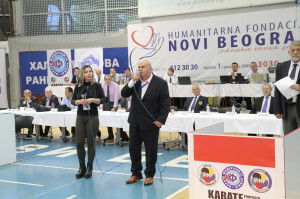 The organizer of the competition is Karate Federation of Balkan, the championships is accredited by the EKF and takes place in the competition calendar for 2017. 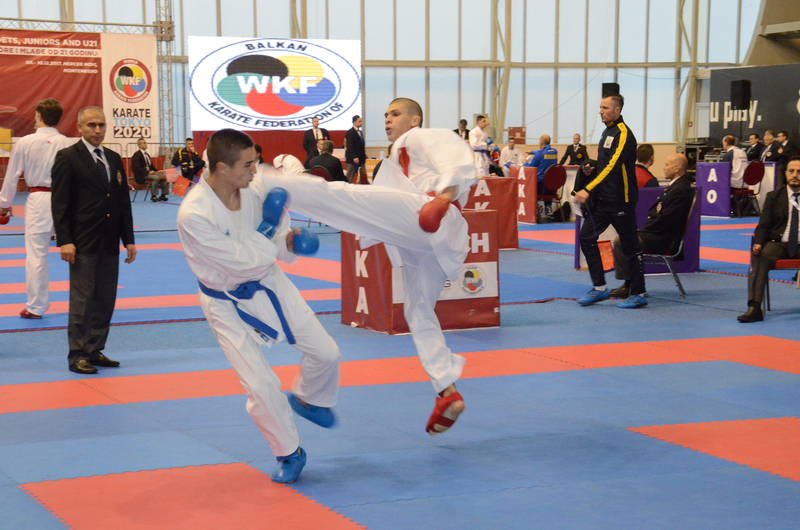 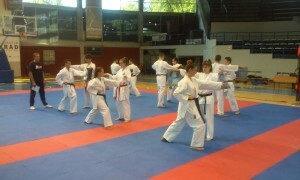 All students competitors who belong to the WKF movement and whose National Federations are members of WKF can take part in the competition. 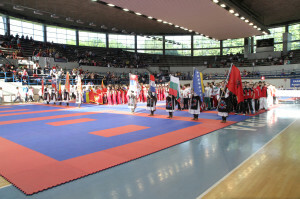 Registration is done via Sportdata exclusively via National Federations. 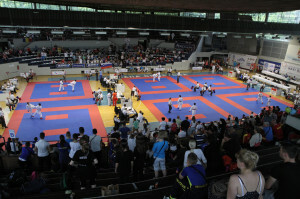 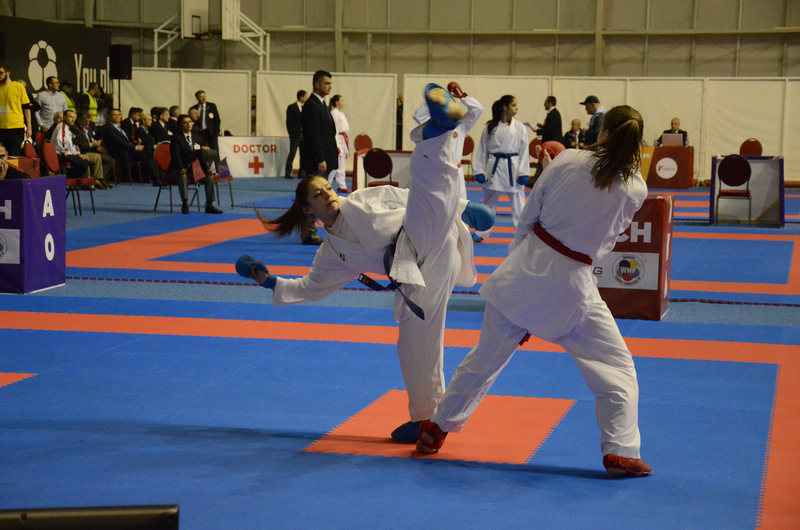 Each National Federation can register a maximum of 4 competitors by category and discipline. 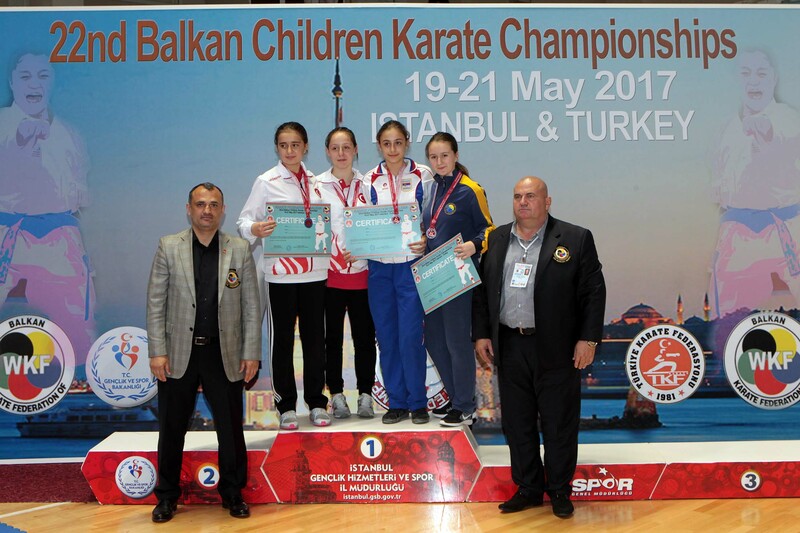 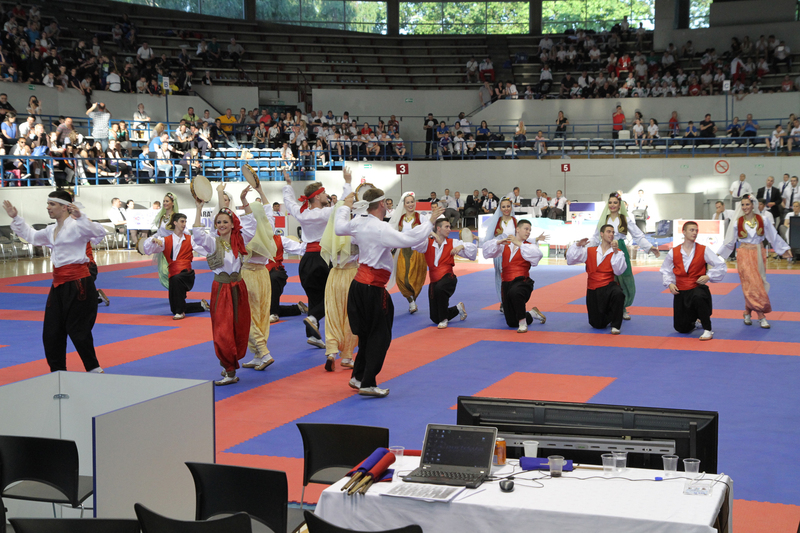 22nd Balkan Championships for children, which was held on 19th, 20th and 21st of May 2017 in Istanbul, Turkey, brought together over 668 participants from 11 countries. 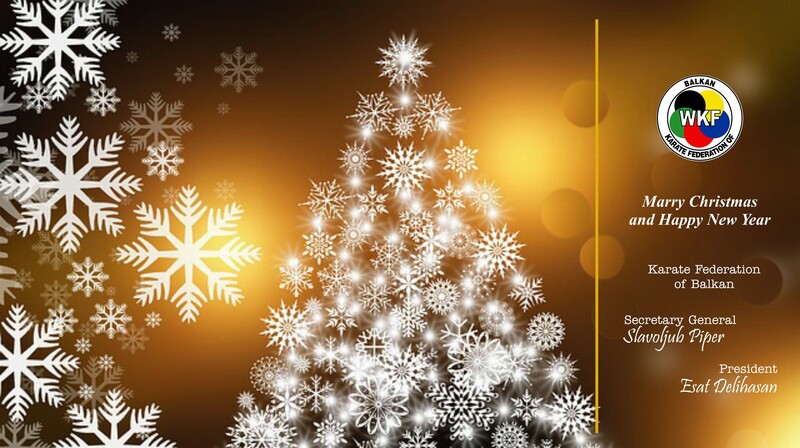 In the overall standings the most successful was the representation of Turkey who won twenty nine gold, twenty seven silver and forty four bronze medals. 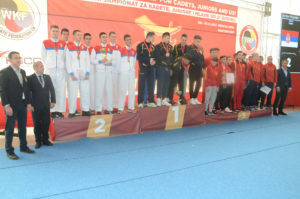 Second place went to the team of Bosnia and Herzegovina won eight gold, ten silver and twenty seven bronze medals. Third place went to the team of Serbia with seven gold, five silver and twenty one bronze medals. 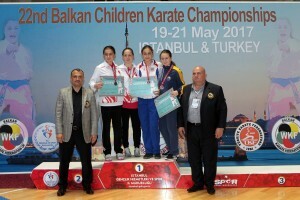 22nd Balkan Children Championship will be held on 19/20/21 May 2017 in Istanbul, Turkey. 19th Balkan Seniors Championships, which was held on 25th and 26th of March 2017 in Cacak, Serbia, brought together over 302 participants from 11 countries. In the overall standings the most successful was the representation of Serbia who won six gold, one silver and seven bronze medals. 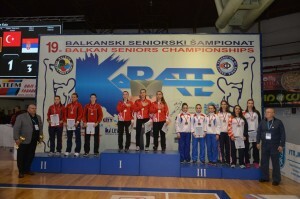 Second place went to the team of Croatia won four gold and four bronze medals. 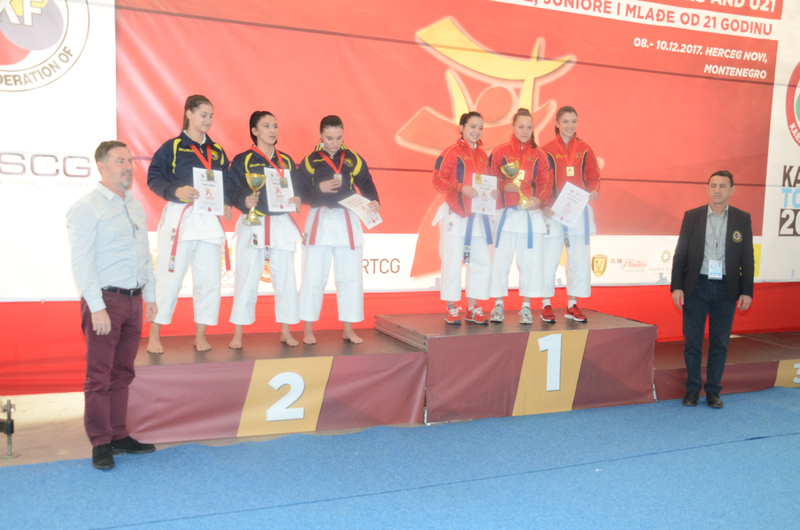 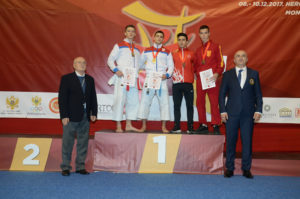 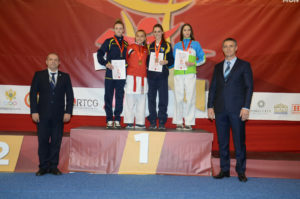 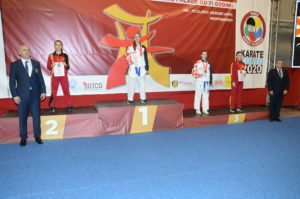 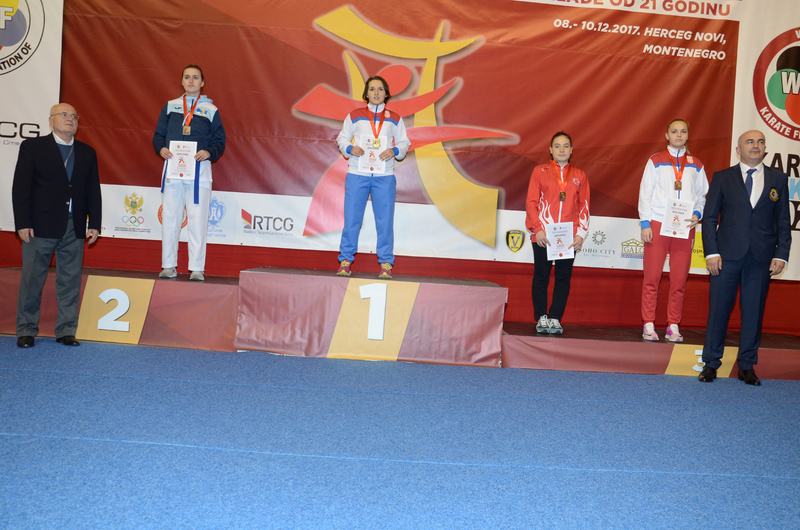 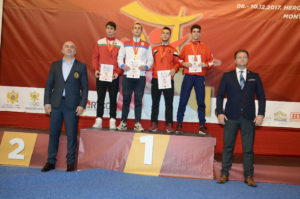 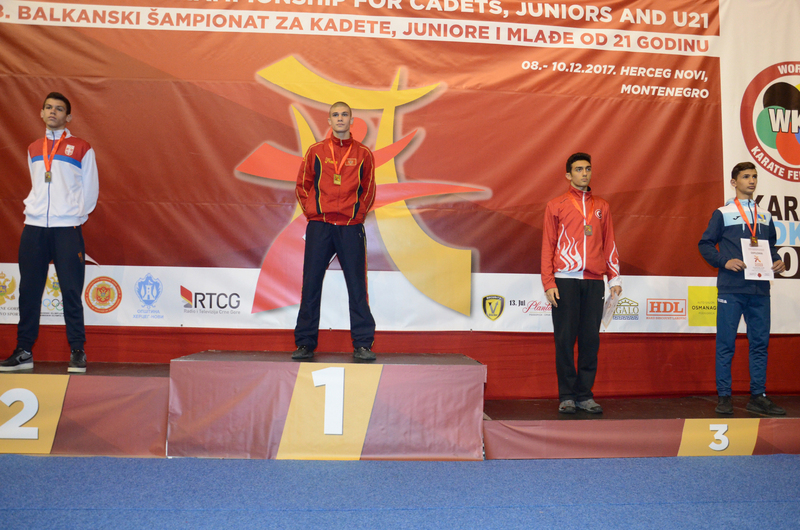 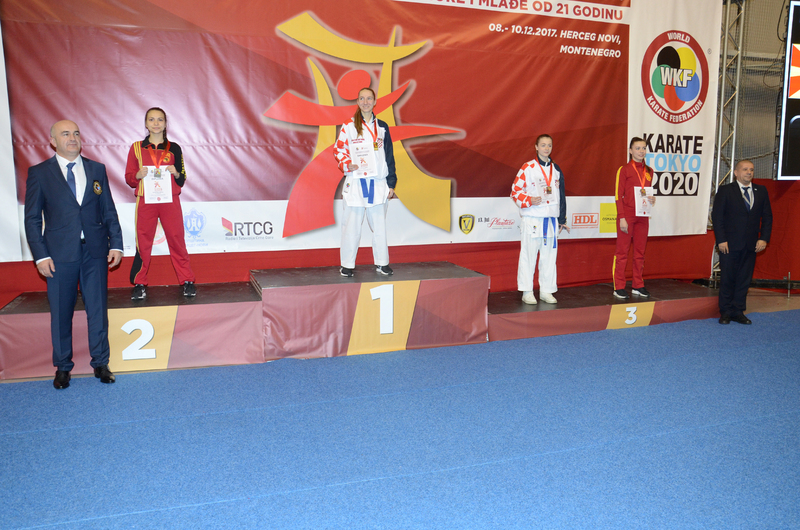 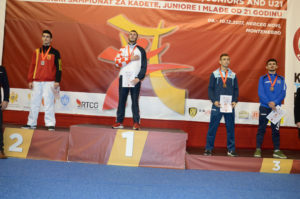 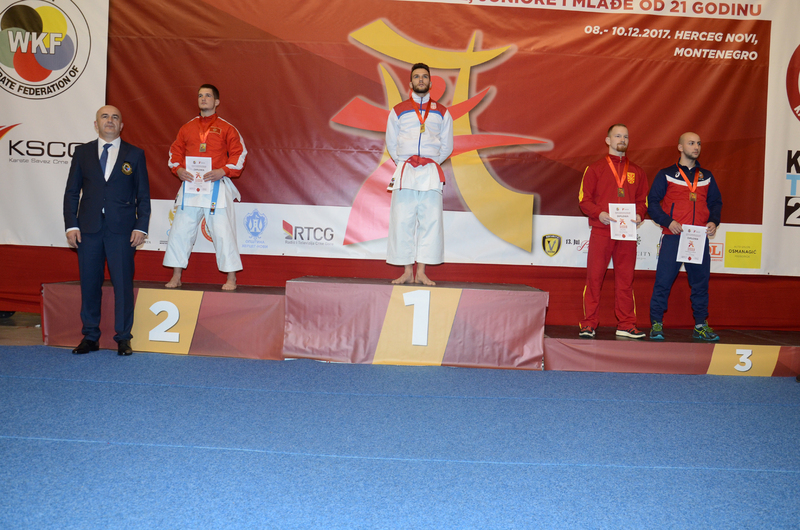 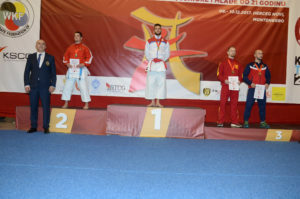 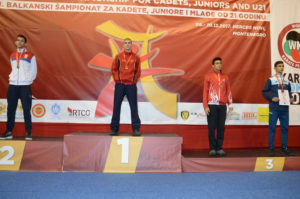 Third place went to the team of Montenegro with two gold, eight silver and tree bronze medals. 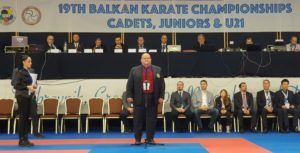 19th Balkan Senior Karate Championship will be held on 25/26 March 2017 in Cacak, Serbia. 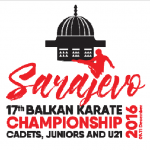 17th Balkan Cadets, Juniors and U21 Championship will be held on 09/11 December 2016 in Sarajevo, Bosnia and Herzegovina. 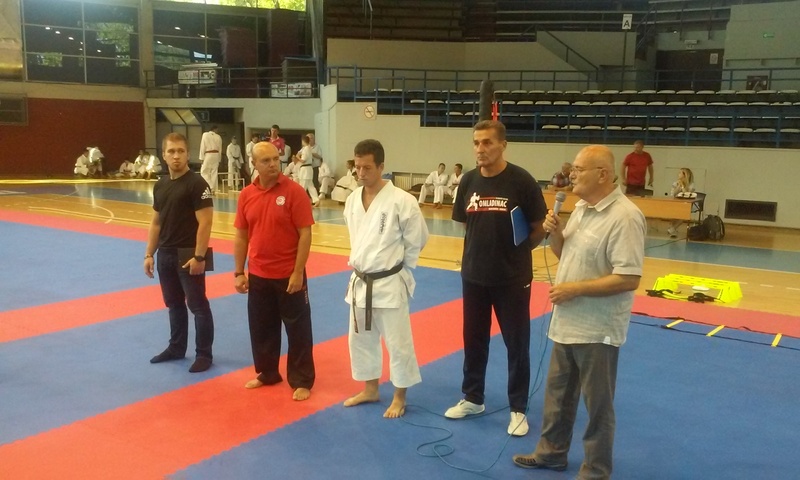 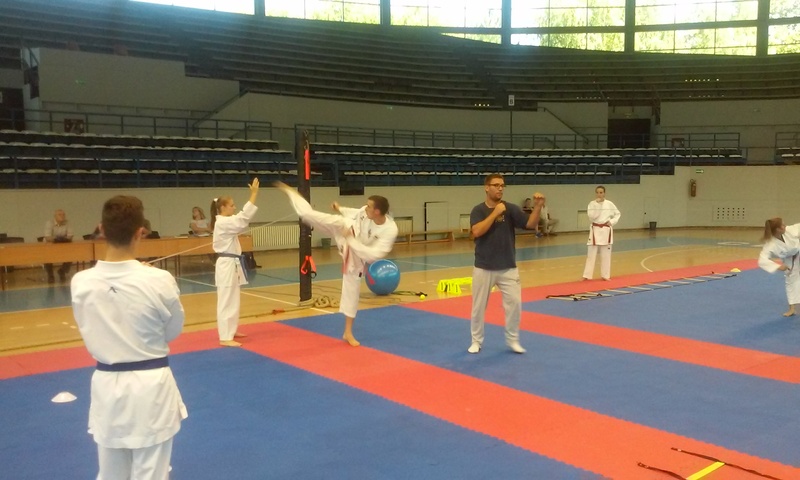 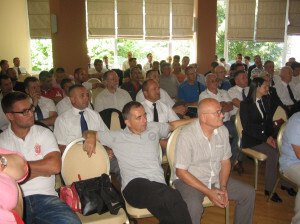 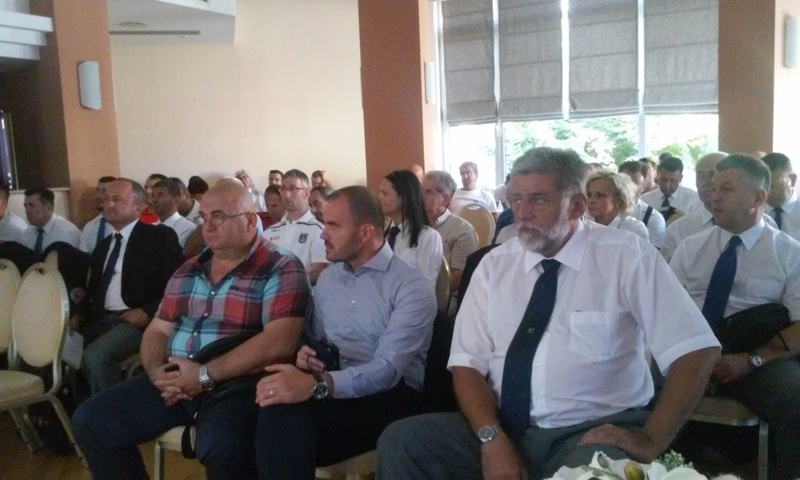 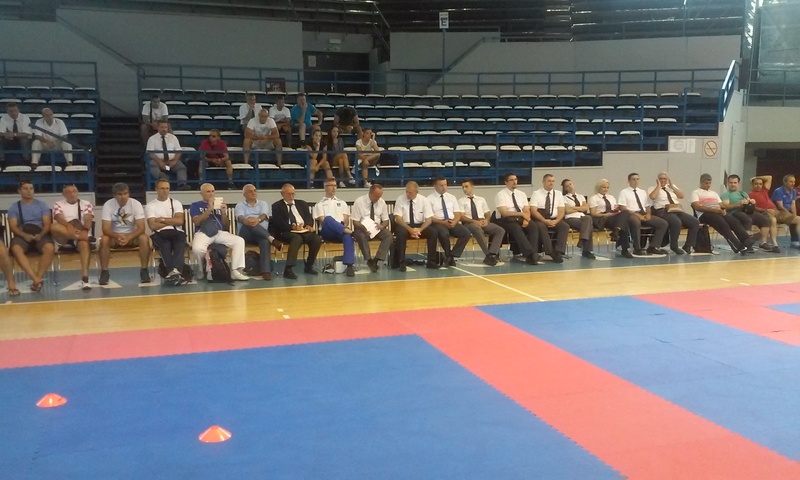 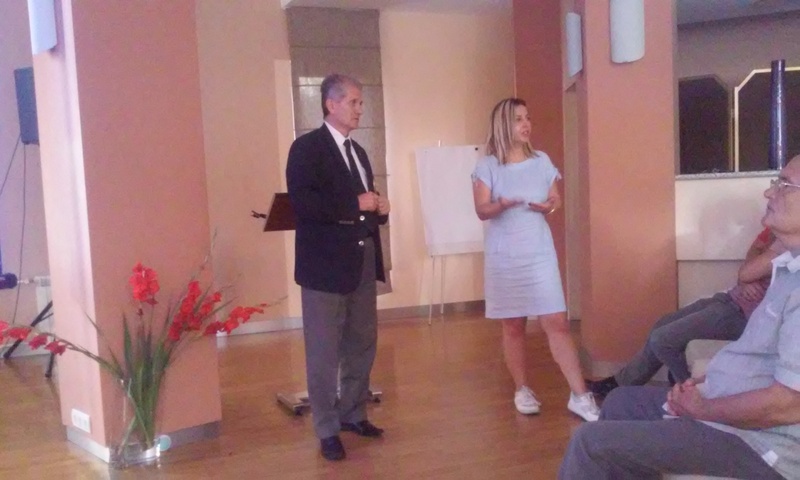 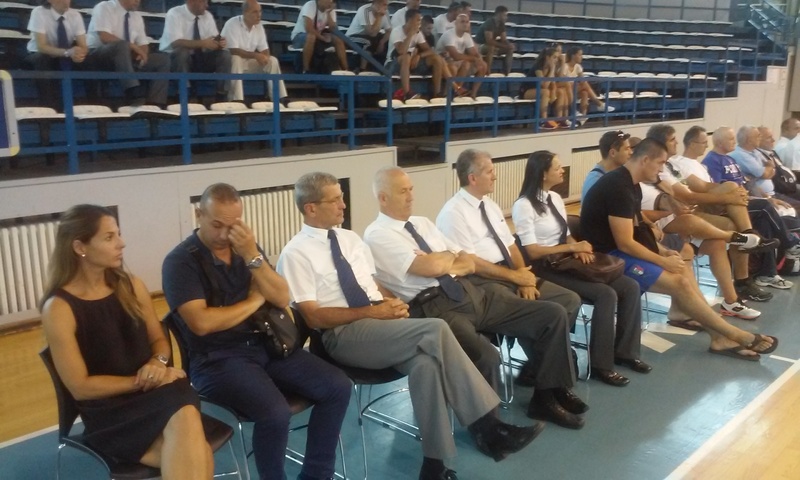 Karate Federation of Balkan had organized a Seminar for referees and coaches on 28th and 29th of August 2016 in Belgrade while the practical part was held in Sports Hall – “Ranko Žeravica”. 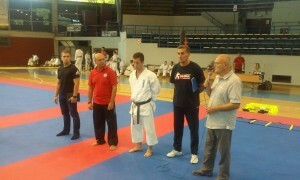 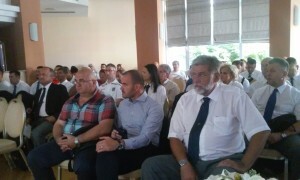 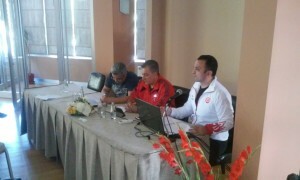 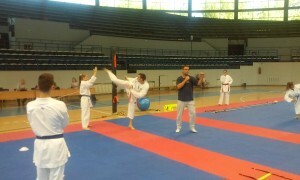 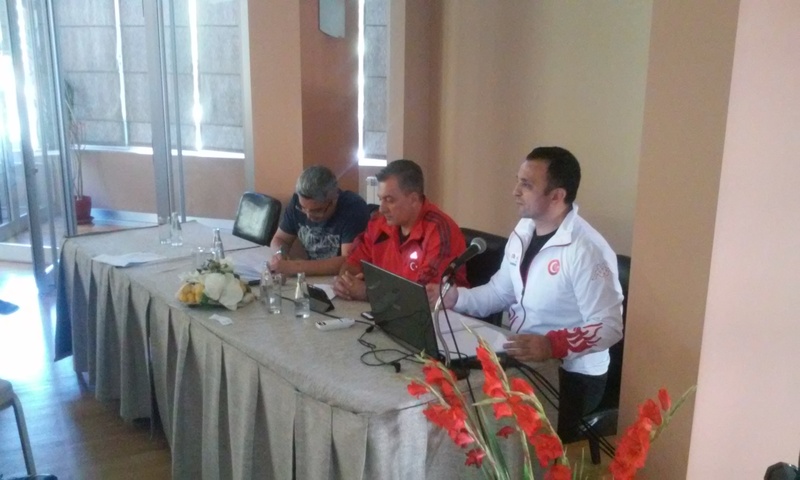 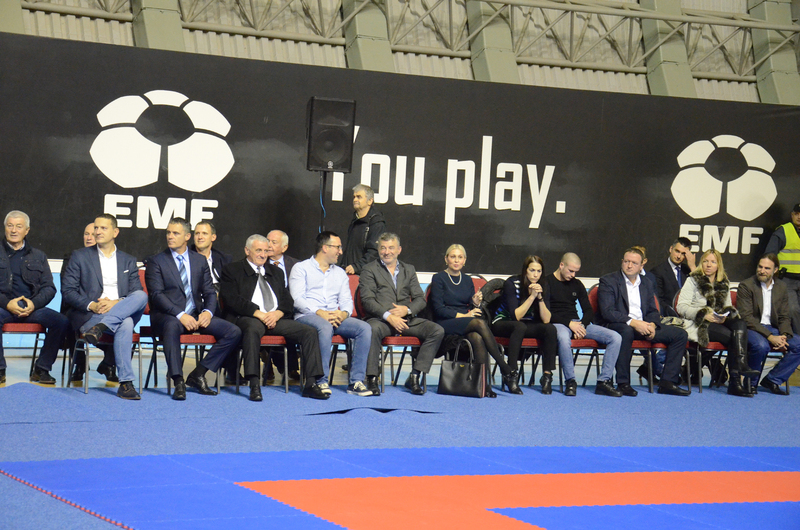 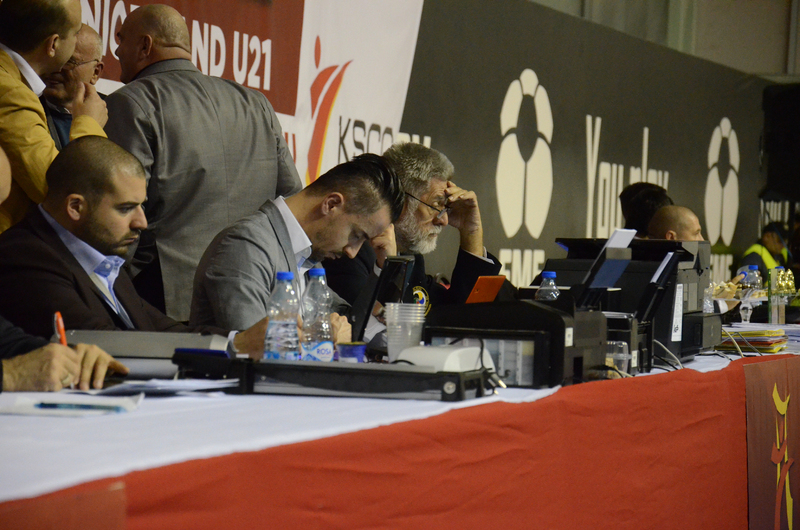 The seminar was attended by coaches and referees from Bosnia and Herzegovina, Croatia, Slovenia, Turkey and Serbia.